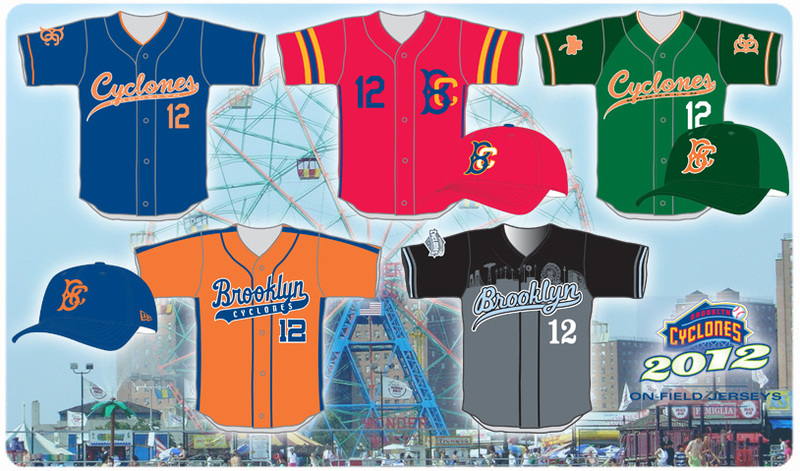 The 2013 Brooklyn Cyclones season will begin on June 17th at Staten Island before opening the home schedule at MCU Park a day later with a matchup with the Yankees on Tuesday, June 18th. Celebrate the holiday season at Coney Island's Winter Celebration on Thursday, December 13th. 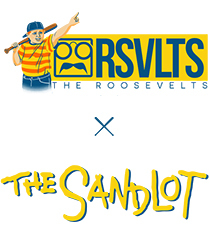 All proceeds from the event will benefit ConeyRecovers.org and help those affected by Super Storm Sandy. 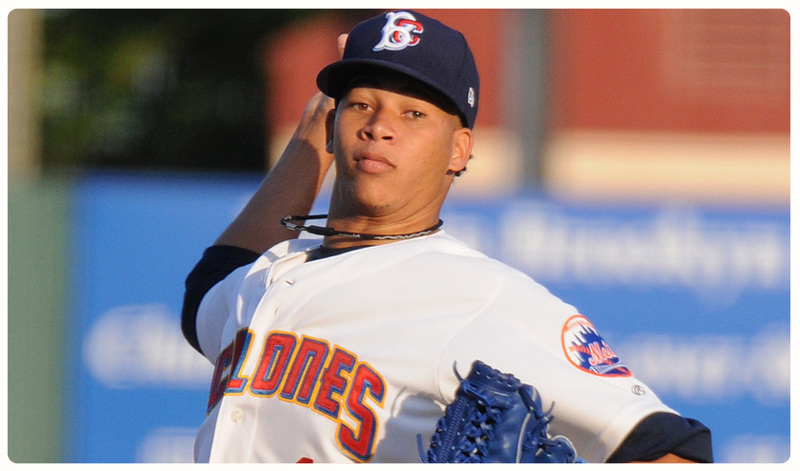 The New York Mets have added righthanded pitchers Zack Wheeler, Hansel Robles, Gonzalez Germen and Greg Burke, lefthanded pitcher Darin Gorski and infielder Wilfredo Tovar to the 40-man roster, which now is at 39. 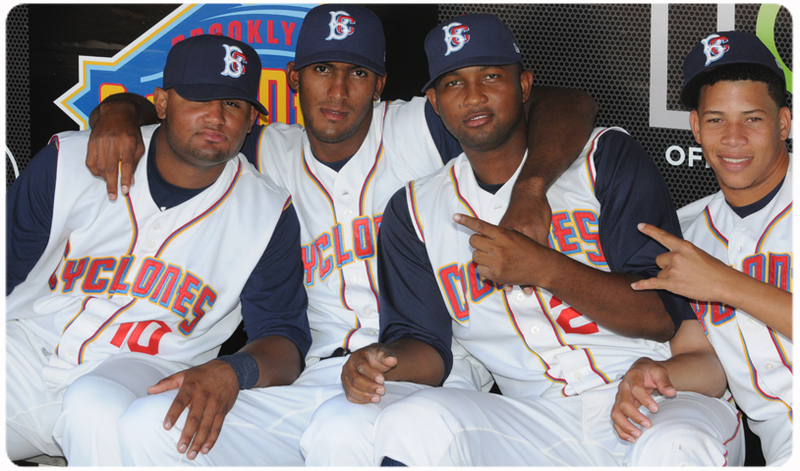 Robles, Gorski and Tovar all played in Brooklyn. The “Alliance for Coney Island” today launched ConeyRecovers.org, a multipronged relief and recovery effort to help Coney Island residents and businesses dealing with the devastating aftermath of Hurricane Sandy. 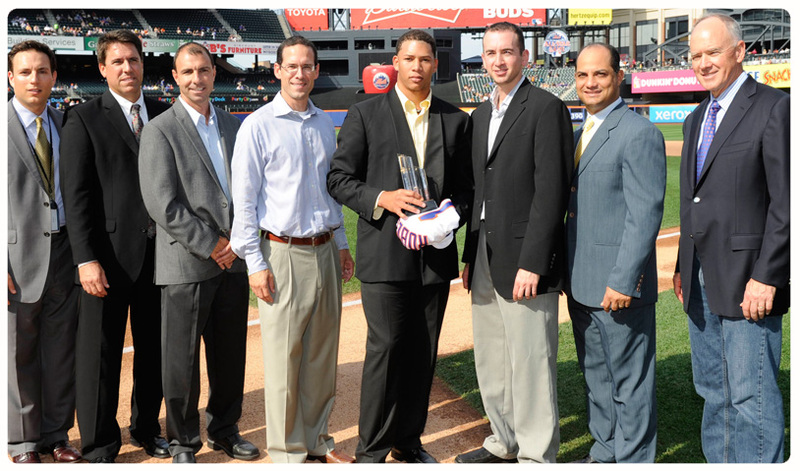 At the end of each season the New York-Penn League, a Class-A short-season league, holds annual awards that honor the best teams, executives, and club staff of the year. This season the Cyclones were honored as a team, as well as one individual from the front office staff. 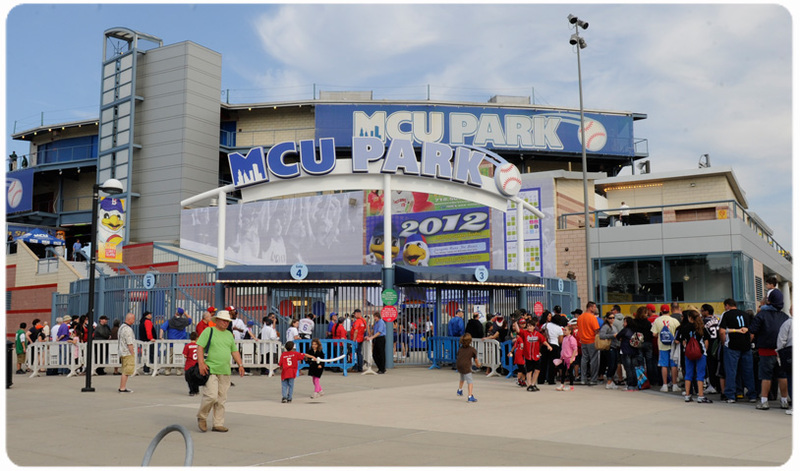 On Saturday, October 27th MCU Park will be the starting line for the Coney Island Halloween Parade. Guests can arrive at 11:00 am for registration. 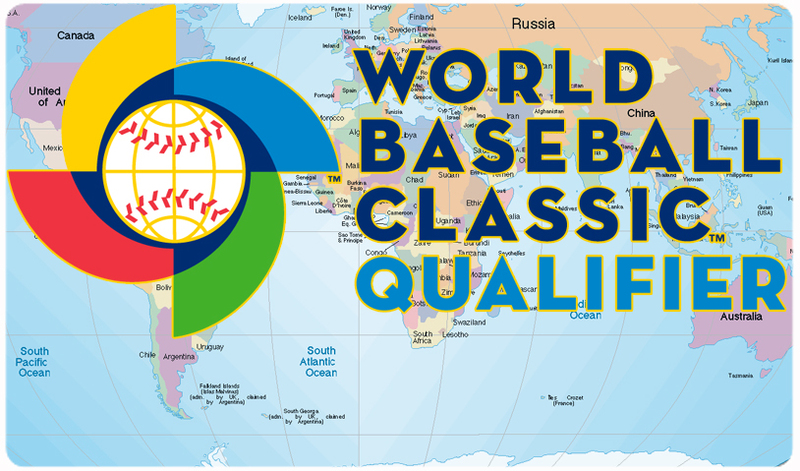 With the World Baseball Classic qualifying rounds set to begin on Wednesday, there are seven former Cyclones who are getting ready to take on the world. 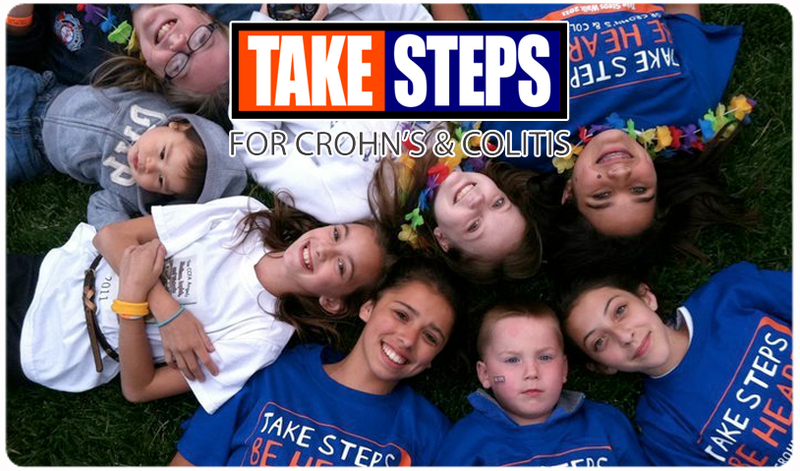 The Walk program is truly one of the Crohn’s & Colitis Foundation’s (CCFA) most remarkable events. Locally, there is a walk held in NYC and in Brooklyn. In 2011 those two walks brought together over 900 participants and raised over $246,000 for crucial research, education and support programs of the CCFA. This year is already reaching new heights and bringing together patients, families, and friends. 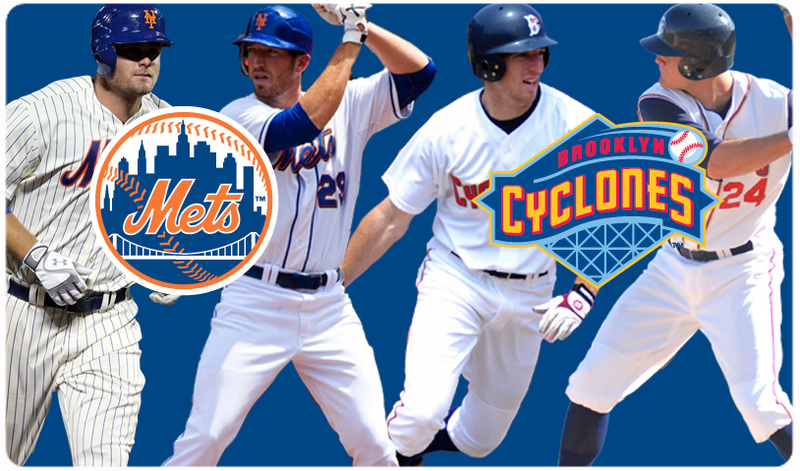 The New York Mets and the Brooklyn Cyclones today jointly announced that they have renewed their Player Development Contract for four more years. 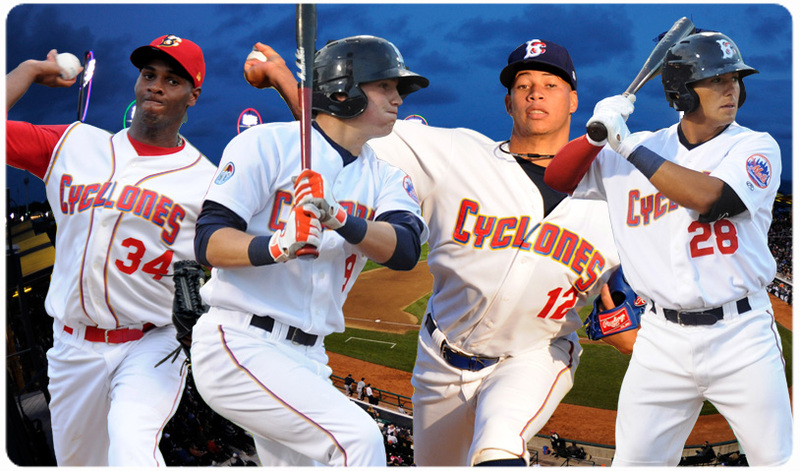 The renewal will keep the Cyclones as the Mets’ affiliate through at least the 2016 season. The four-year extension is the longest allowed by Major League Baseball. 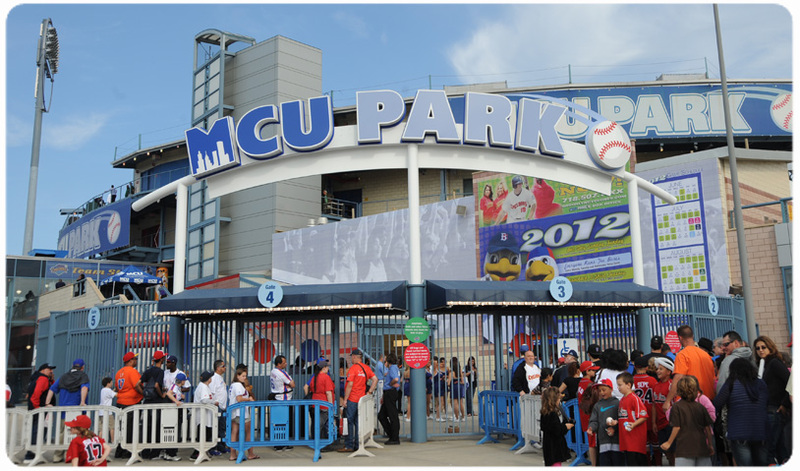 MCU Park is a venue unlike any other. It is both serene and exciting, state of the art and nostalgic. It is also the perfect setting for your corporate or private event. 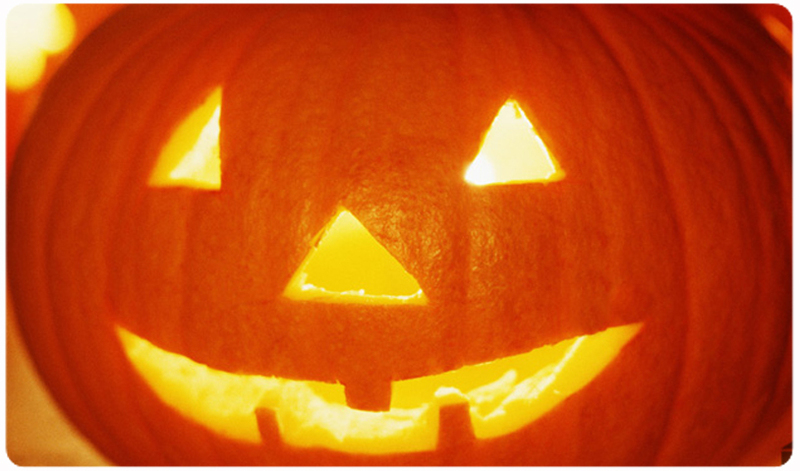 We are offering a special opporunity to take advantage of this unparalleled setting during the month of October. The Cyclones finished the 2012 regular season with a 45-31 record en route to their fourth straight playoff appearance. Rich Donnelly became the first manager to lead the team to back-to-back playoff berths and Hansel Robles set a franchise record with a 1.11 ERA during the regular season. 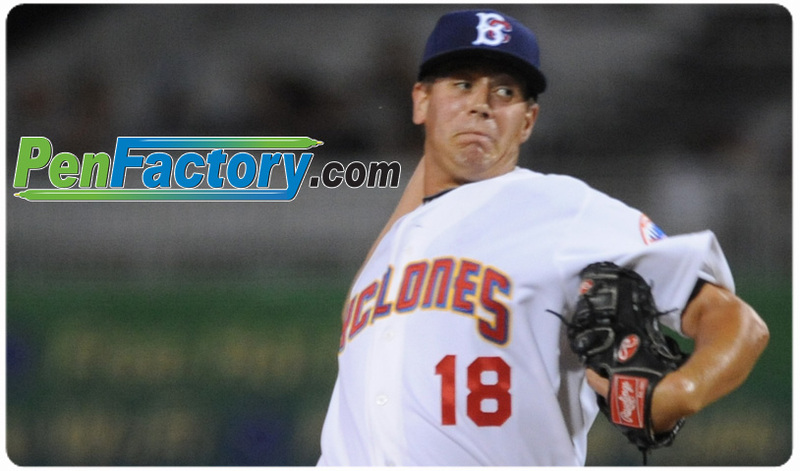 The Cyclones season came to a close on Monday night as Brooklyn fell to the Hudson Valley Renegades, in a decisive Game Three, by the score of 2-0. With the loss, Brooklyn’s season comes to an end in the New York-Penn League SemiFinals for the second consecutive season. 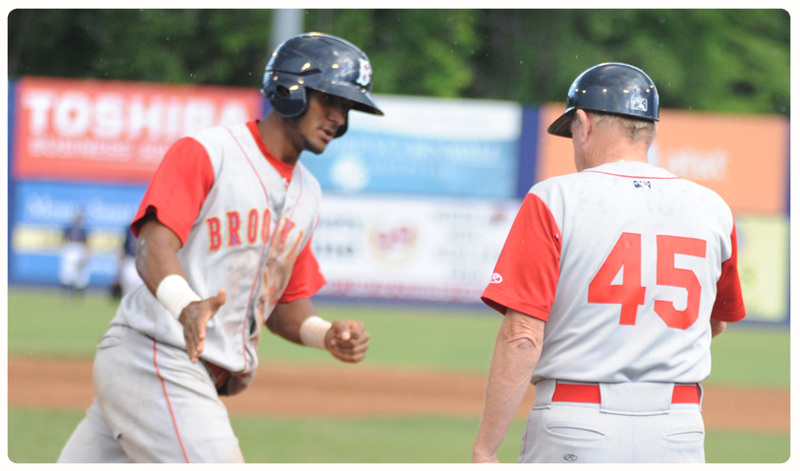 Brooklyn managed only one hit in the game, a third inning single from Phillip Evans, and failed to get a runner aboard in the final five innings of the contest. 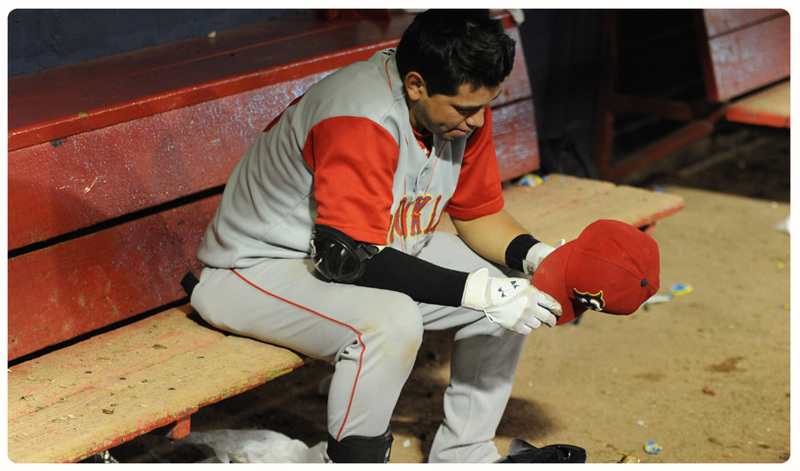 Hudson Valley, NY -- September 9th -- Eudy Pina led the Cyclones offense, going 2-for-3 with a double and a home run in an 8-1 loss to the Hudson Valley Renegades on Sunday night. The series is now tied at 1-1. Hudson Valley took an early 1-0 lead in the bottom of the first. Thomas Coyle hit a one-out triple on a ground ball to right, and was later plated on a single off the bat of Luke Maile. The Renegades scored another run in the fourth. Maile led off with a line drive single, and moved to second when Ryan Dunn walked. Leonardo Reginatto singled to advance both runners. After Justin O'Conner struck out swinging, Marty Gantt hit a sacrifice fly to right field, and Maile scored on the play. 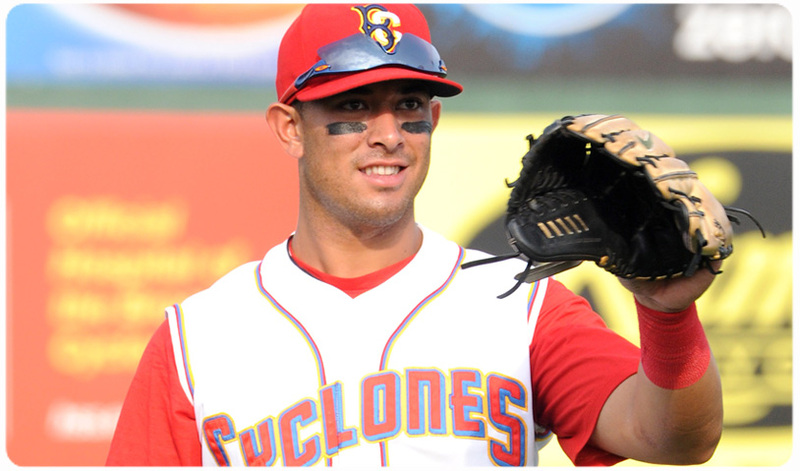 The Cyclones scored their lone run in the fifth when Eudy Pina homered to center field. However, the Renegades struck again in the bottom half of the frame. Joey Rickard hit a leadoff single, and reached second when Coyle walked. Rickard then crossed the plate when Richie Shaffer reached on a fielding error by shortstop Phillip Evans. In the seventh, Hudson Valley hit Cyclones reliever Logan Taylor for three runs. Three consecutive singles loaded the bases for the Renegades before Ryan Dunn grounded out to second to score Coyle. Reginatto then doubled on a line drive to left field to plate Shaffer and Maile. Hudson Valley posted the final two runs of the game in the following inning. Gantt led things off with a single before Joel Caminero grounded out to first. Rickard then walked, and Gantt stole third. A sacrifice fly by Coyle allowed Gantt to come home, before Shaffer singled on a ground ball to center to score Rickard. 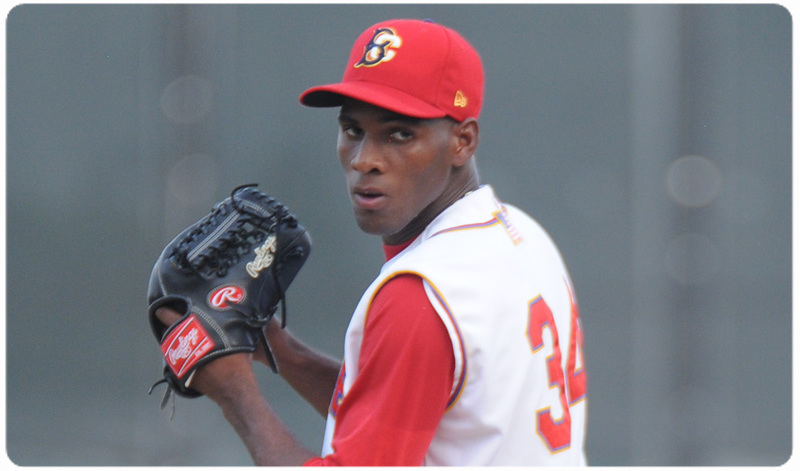 Brooklyn starting pitcher Luis Mateo suffered the loss after going 5.0 innings and allowing three runs (two earned) on six hits with two walks and four strikeouts. Starter Jeff Ames earned the win for the Renegades after tossing 6.0 innings. 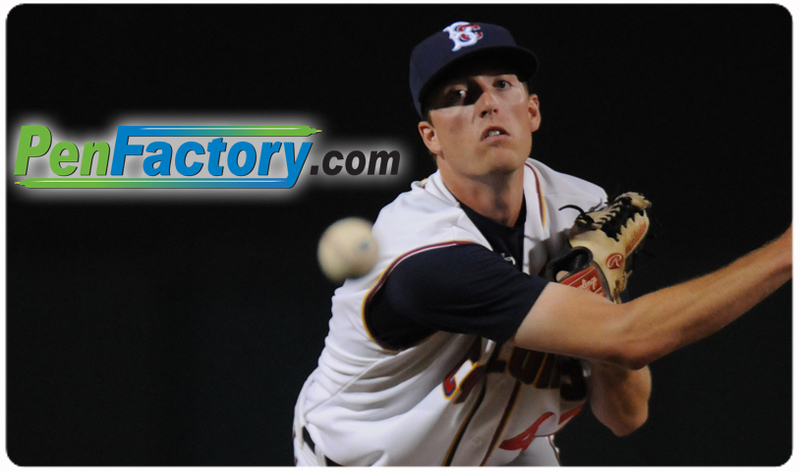 He surrendered just one earned run on six Cyclones hits, walking none and fanning four batters. The Cyclones will face the Renegades again tomorrow, Monday, September 10th for Game Three of the semi-finals. First pitch is scheduled for 6:05 PM. The winner of tomorrow night's game will advance to the final round of the NYPL playoffs. 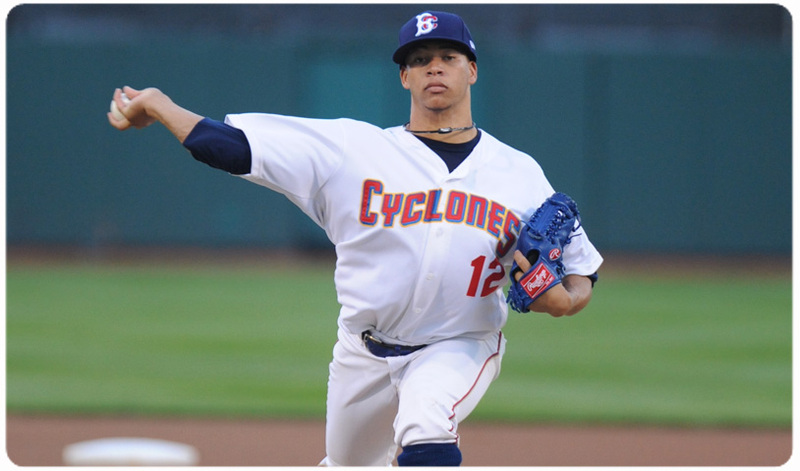 Hansel Robles threw a nine-inning complete game on Friday to lead the Cyclones to a 4-0 shutout victory over the Hudson Valley Renegades in Game One of the playoffs. It was the third nine-inning complete game in franchise history, and the first since August 28, 2010. The Cyclones will open up the NYPL SemiFinals on Friday evening when they take on the Hudson Valley Renegades in Game One of a best-of-three series. The division rivals are familiar with each other, having squared off 10 times this season with Brooklyn going 7-3 against the Renegades. Here's a look at the series at a glance. After fighting tooth and nail through a 76 game schedule, the Cyclones are headed to the playoffs. 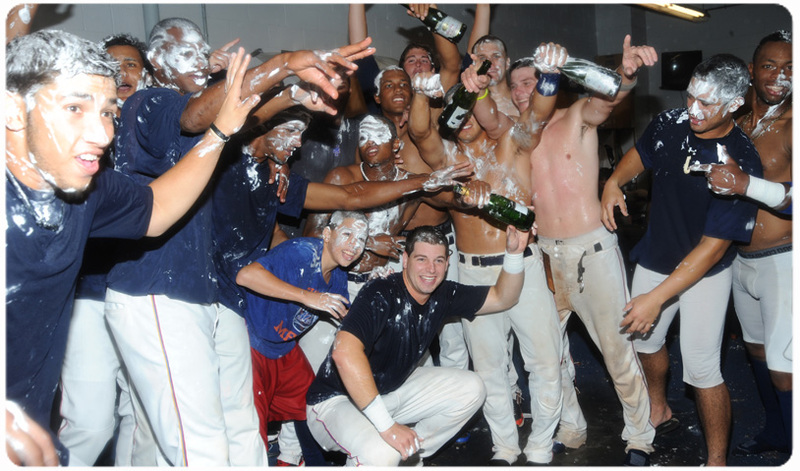 And when the last out of the regular season was recorded, the team blew off some steam in a celebration that will go down as one for the ages! The Cyclones lead the best-of-three NYPL Semi-Finals 1-0 thanks to a win over the Hudson Valley Renegades on Friday night. If the Cyclones are able to close out the series, they will open the NYPL Finals at MCU Park on Tuesday, September 11th. Tickets are on sale now and all seats are just $10. 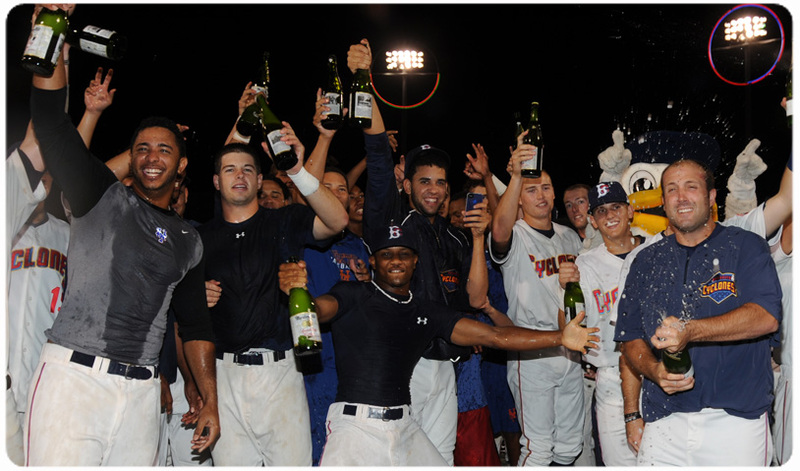 Come out to MCU Park on Wednesday, September 5th for Fan Appreciation Night! 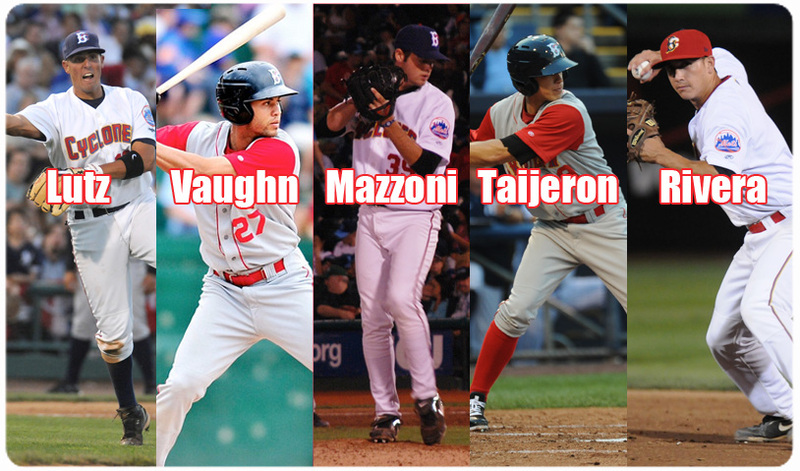 The Cyclones will face the Lowell Spinners in their last contest of the 2012 regular season. First pitch is scheduled for 6:00 PM. After the game, all fans are invited to run the bases. 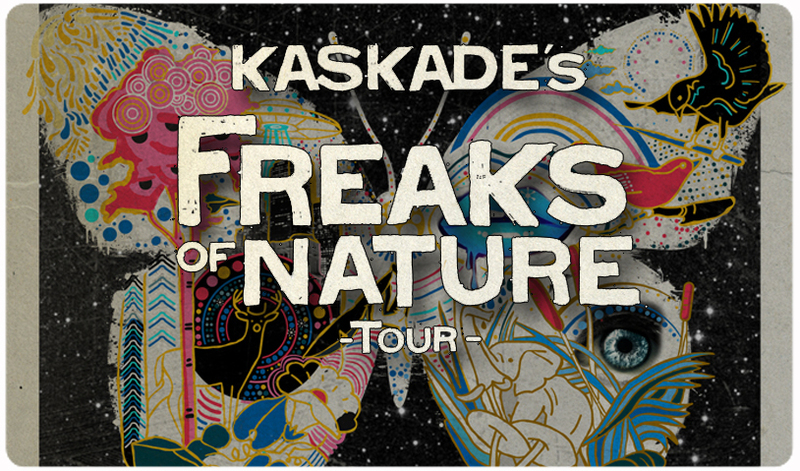 Tickets are available now by visiting the MCU box office, calling 718-507-TIXX, or CLICKING HERE. With the season winding down, the Cyclones are on the verge of their fourth consectuvie playoff berth. You have a chance to be part of all the drama and action of postseason baseball at MCU Park when tickets go on sale Thursday, August 30th at 10:00 am. 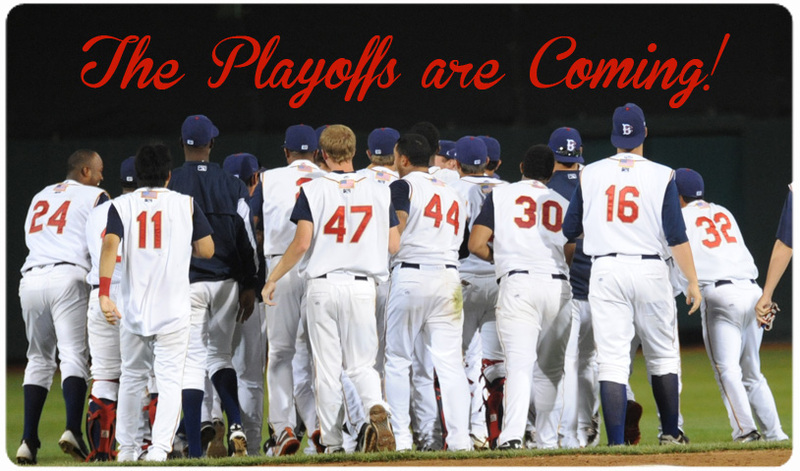 Come out to the ballpark on Tuesday, September 4th as the Cyclones make a final push for the playoffs! The team will take on the Lowell Spinners at 6:00 PM. 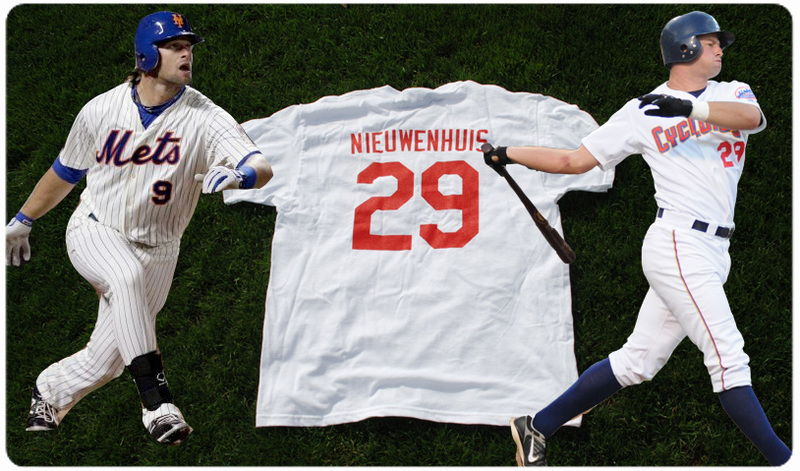 The first 3,000 fans in attendance will receive a Kirk Nieuwenhuis t-shirt jersey; and after the game, everyone can run the bases. Come out to the ballpark on Monday, September 3rd when the Cyclones take on the Lowell Spinners at 6:00 PM and enjoy the Feast-ival. This mouth-watering food option includes a barbeque buffet of Nathan’s hot dogs, Brooklyn Burgers, baked beans, watermelon, potato chips, popcorn, ice cream, lemonade, and iced tea. Don't let the summer get away just yet. Head to Coney Island for some Fireworks, BBQ and Baseball on Labor Day when Brooklyn welcomes the Lowell Spinners. In honor of the holiday, the team is offering a special Feastival package, which costs just $18 and includes All-You-Can-Eat BBQ. 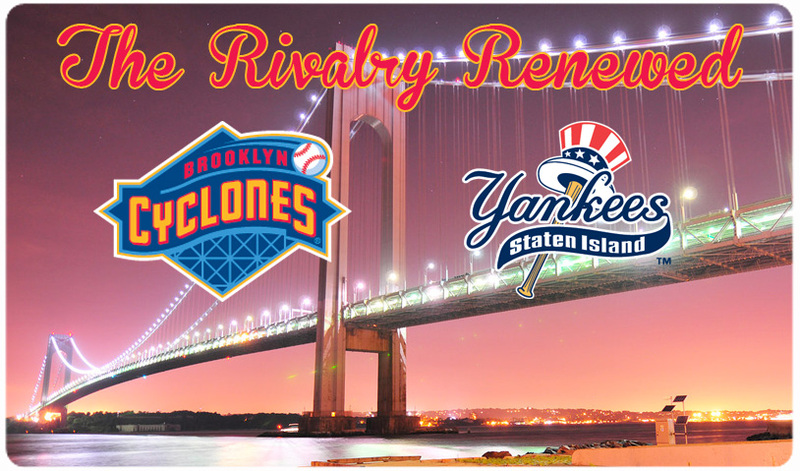 On Sunday, September 2nd, Brooklyn will host Staten Island one last time as the Cyclones face their final matchup against the Yankees. First pitch is scheduled for 5:00 PM. 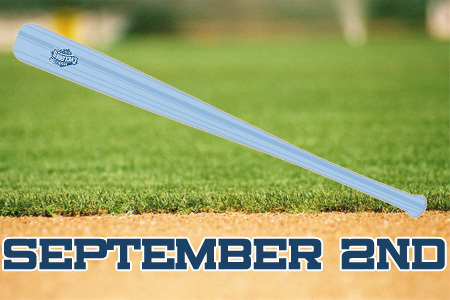 September 2nd will be Sunday Funday Bat Day, where the first 3,000 fans in attendance will receive a light blue bat. Also, pre-game catch will take place on the field from 4 to 4:30 PM, and kids can run the bases after the final out of the game. 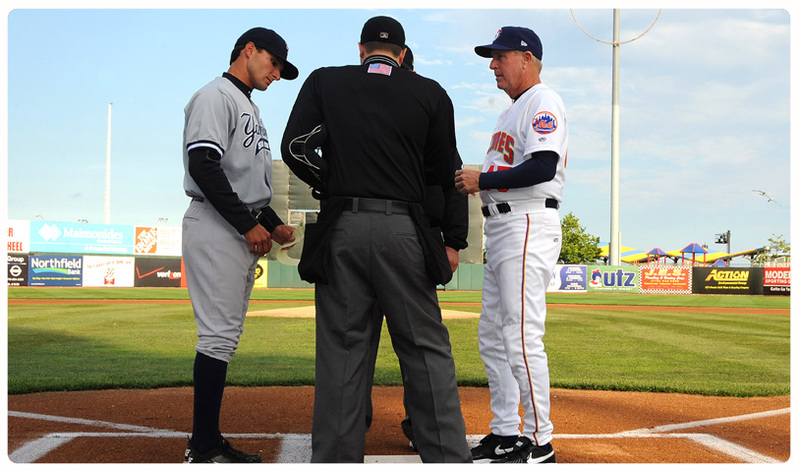 The season may be winding down but the rivalry between the Cyclones and Yankees is just getting started. The Cyclones will welcome their cross-bridge rivals on Sunday with a playoff berth on the line! Paul Sewald, 22, was selected by the Mets in the 10th round of the 2012 MLB Draft as a senior out of the University of San Diego. His 18-year-old brother John went in the 34th round to the Orioles. While the two are separated by just enough age that they have never played together in a sanctioned game, Paul and John could potentially face each other somewhere down the line, as they pursue their dreams of playing in the majors. The calendar is closing in on September, and when you are talking about Brooklyn Cyclones baseball, that can only mean one thing…it’s playoff time! 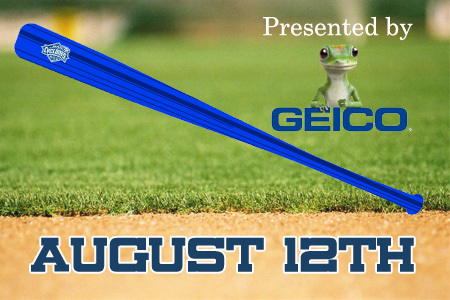 Once again, the Cyclones are in a prime position to make a run towards the New York-Penn League Championship and here is your chance to make sure you don’t miss any of the action. 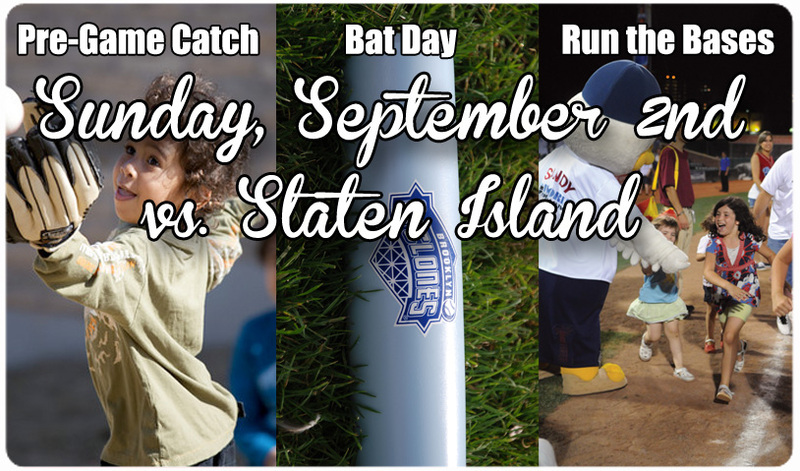 On Saturday, August 25th the Cyclones will take on the Staten Island Yankees at MCU Park at 6:00 pm. 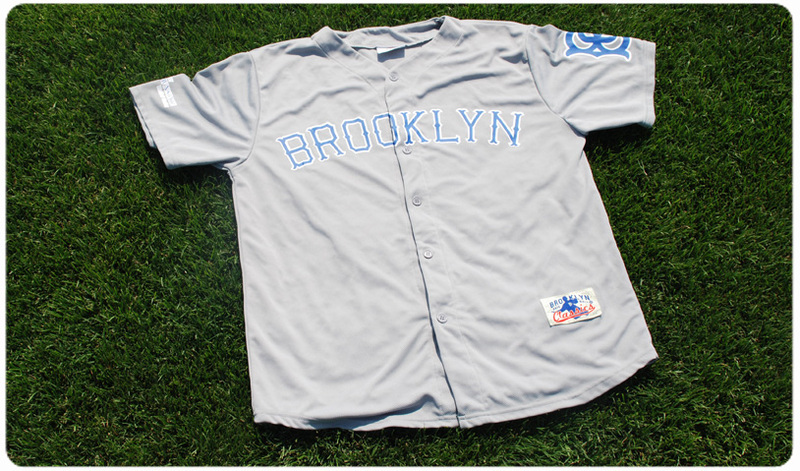 Brooklyn will be wearing special jerseys that will be raffled off throughout the game that will have a unique design featuring the one-of-a-kind Coney Island Skyline. 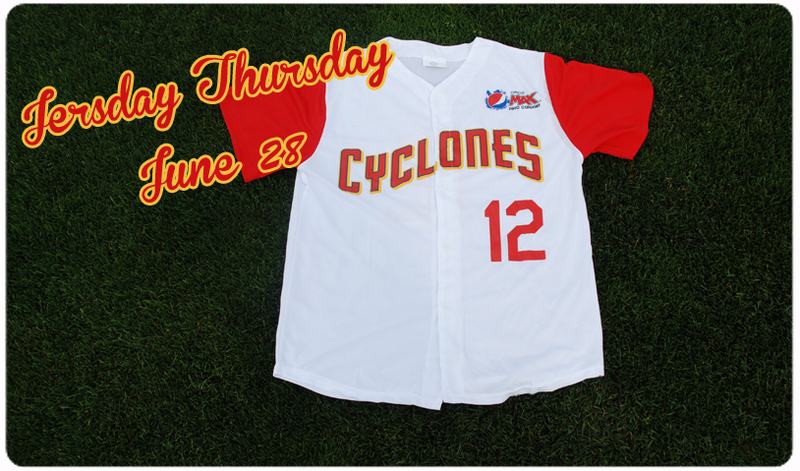 Head to MCU Park on Thursday, August 23rd when the Cyclones turn back the clock for Jersday Thursday with the first 3,000 fans in attendance receiving a 1904-style Cyclones jersey courtesy of Municipal Credit Union. 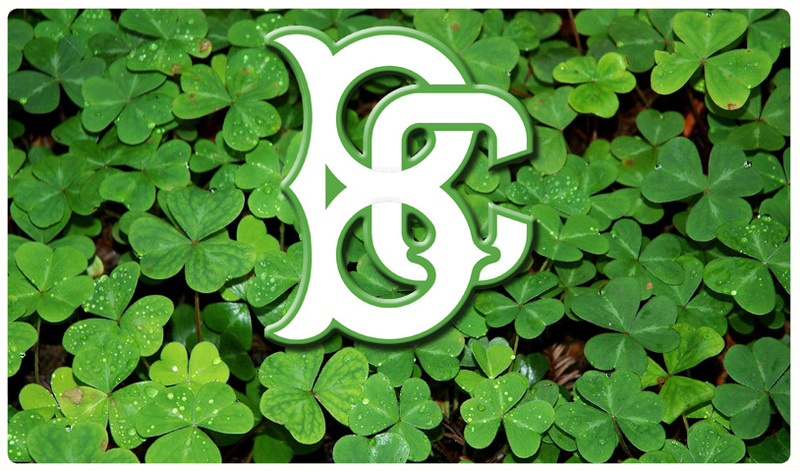 Game time is 7:00 pm when Brooklyn takes on Tri-City in what could be a playoff preview. As part of Giving Back Week, the Cyclones wil be collecting shoes at the ballpark on Thursday, August 23rd for the organization Soles4Souls. Since 2005, Soles4Souls has distributed over 19 million pairs of new and gently worn shoes around the globe to those in need. To purchase your Giving Back Week tickets CLICK HERE and use the code DONATE. 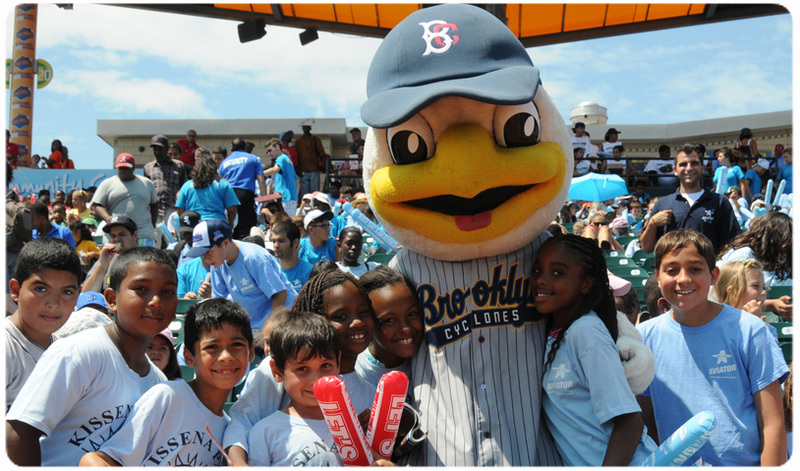 From August 21-23, the Brooklyn Cyclones will celebrate Giving Back Week at MCU Park. Their goal is to raise $15,000 for area charities during a three-game Cyclones homestand when the team takes on the Tri-City Valley Cats. All games begin at 7 p.m.
Cyclones fans can use the code “DONATE” when purchasing $16 field box tickets via phone or Internet and $5 from each seat sold will be donated to local charities. In addition, all revenue from in-house initiatives, such as inflatable games, launch-a-ball, and jersey auctions will go towards this worthwhile program. 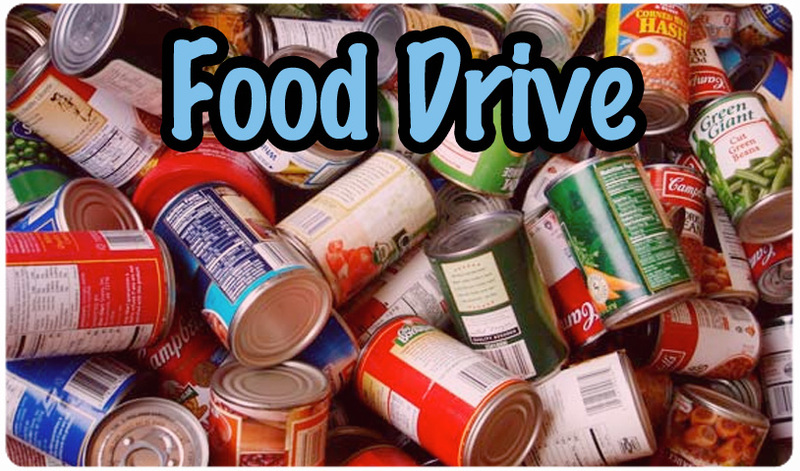 The Cyclones will be holding a food drive on Tuesday, August 21, and ask that all who attend bring cans of non-perishable food to be donated to Reaching Out Community Services – a nonprofit, volunteer organization dedicated to the distribution of food and other basic items to needy families and individuals in the Brooklyn area since 1992. Wednesday, August 22 is Bark in the Park Night. 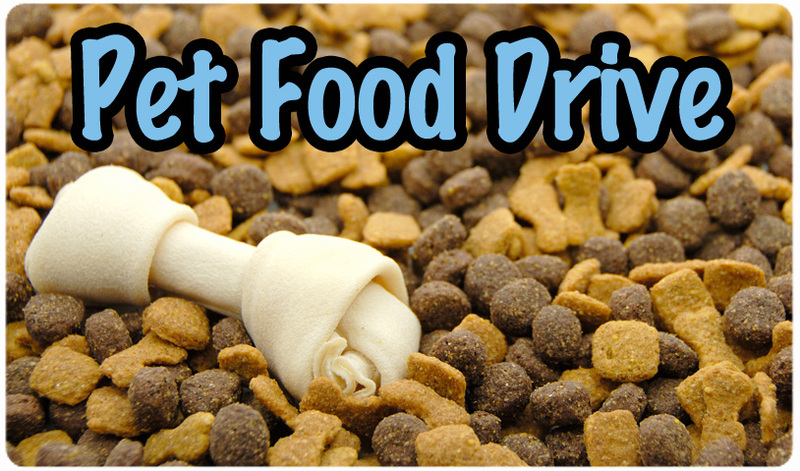 Fans are asked to bring a can of dog and cat food to be donated to the Mayor’s Alliance for NYC’s Animals – a coalition of more than 150 animal rescue groups and shelters working with Animal Care & Control of NYC (AC&C) to end the killing of healthy and treatable cats and dogs at AC&C shelters. 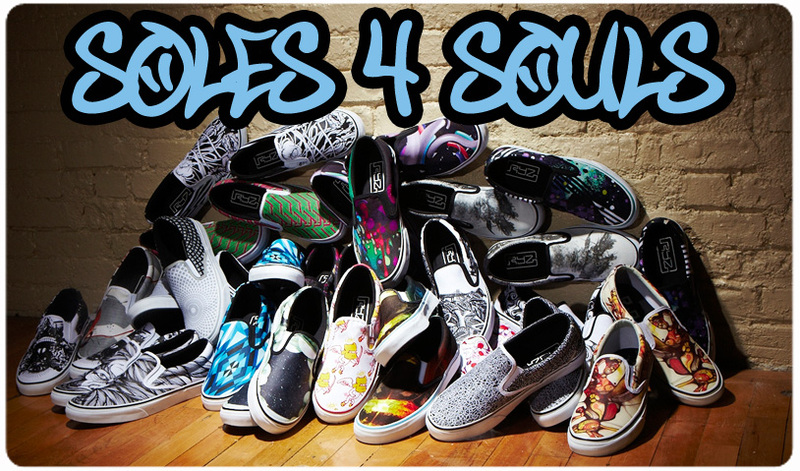 And those who attend the game on Thursday, August 23 are asked to bring a gently worn pair of sneakers or shoes to be donated to the Soles 4 Souls initiative. S4S is responsible for delivering over 19 millions pairs of shoes in over 125 countries both for crisis relief and to support efforts to eradicate poverty. Each person who makes a donation will receive a raffle ticket, making him or her eligible for prizes awarded throughout each of these games. 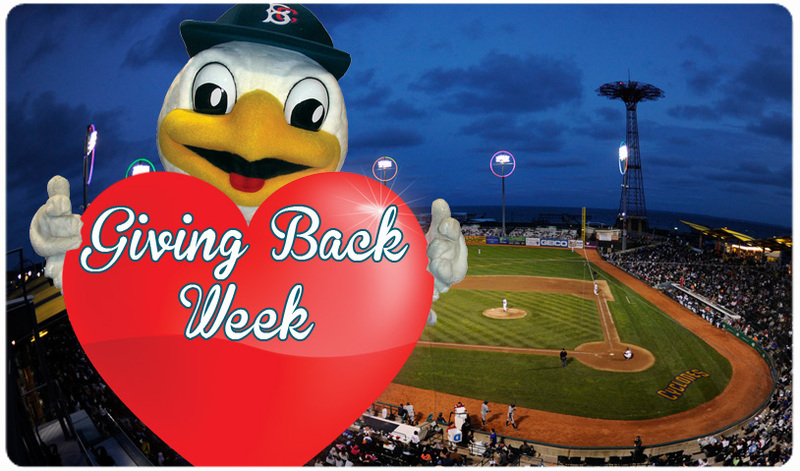 Charities to benefit from Giving Back Week include: Reaching Out Community Services, CAMBA, Mayor’s Alliance, and Heartshare, as well as Coney Island area charities, You Gotta Believe and Salt & Sea Mission. 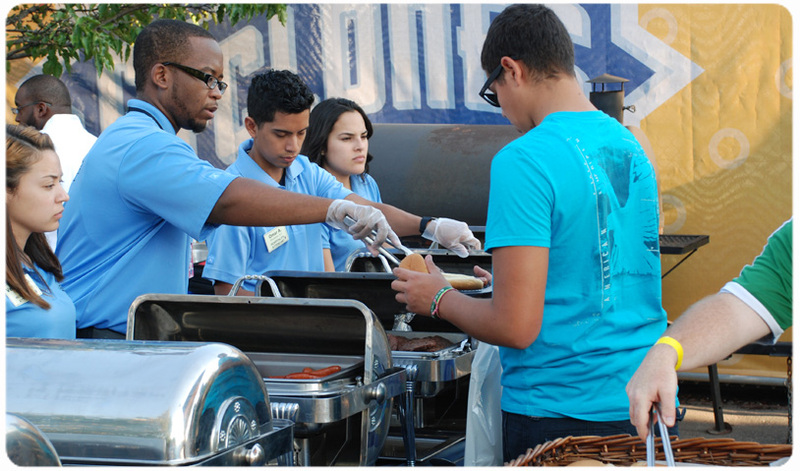 CAMBA serves more than 45,000 individuals and families, including 8,000 youth, each year. 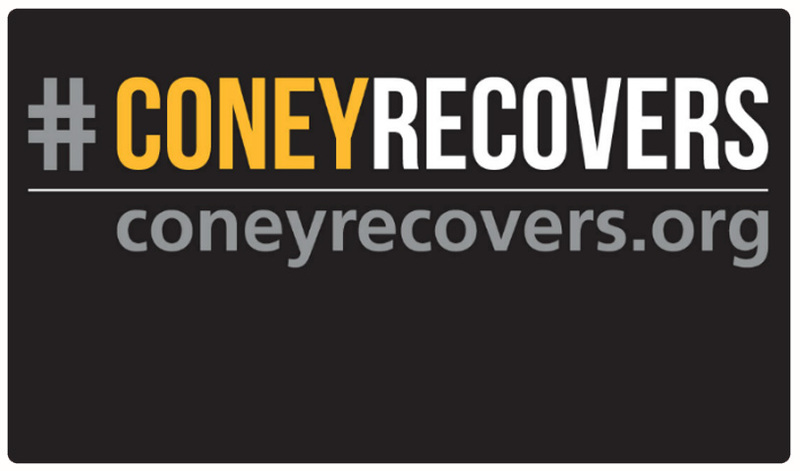 Specifically, the nonprofit agency helps people of low-income; those moving from welfare to work; people who are homeless, at risk of homelessness or transitioning out of homelessness; individuals living with or at risk of HIV/AIDS; immigrants and refugees; children and young adults; entrepreneurs and other groups working to become self-sufficient. The majority of CAMBA’s clients live, work, and/or attend school in Brooklyn. You Gotta Believe is a homeless prevention program that works to find adoptive and permanent homes for teens and pre-teens living in foster care. The Salt & Sea Mission was formed to meet people’s basic needs, offering services such as detoxes, classes for leadership training, job readiness, character building, anger management, nutritional classes, budgeting, individual/group counseling, food, clothing, HIV & AIDS counseling, housing & medical help, and more. The main goal of Giving Back Week is to better the community in which the Cyclones play and garner support. By relaying the importance of helping those in need, the Cyclones strive to be leaders not only on the field, but in the community as well. 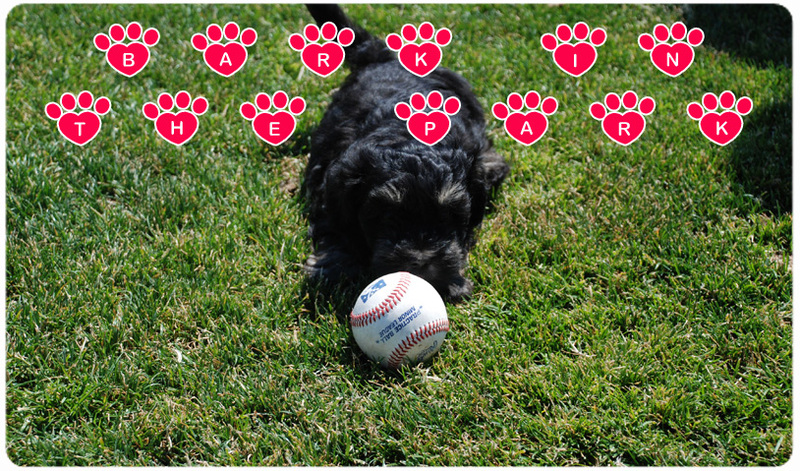 When the Cyclones hold Bark in the Park Night on August 22nd, there will be one little puppy who knows his way around the ballpark better than most. Boomer, a Havanese puppy just a few months old, is the latest adition to the family of Kevin Ponte, the Head Turf Manager at MCU Park. The Cyclones return to MCU Park on Tuesday, August 21st to take on the Tri-City Valley Cats in what could be a playoff preview. 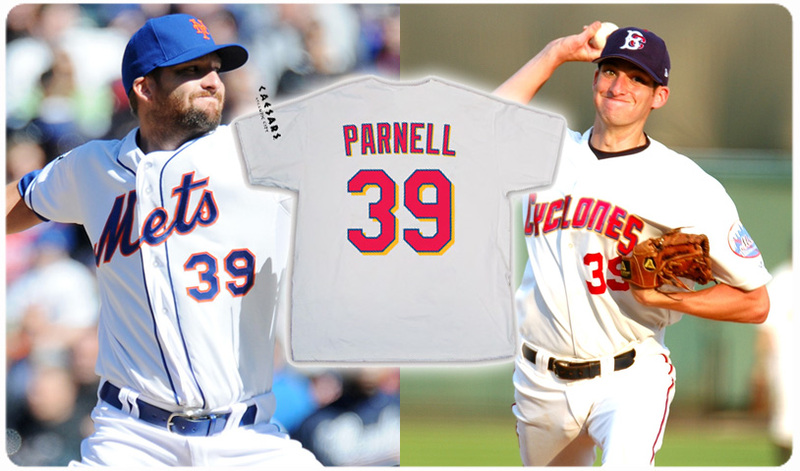 The first 3,000 fans in attendance will receive a a Bobby Parnell T-Shirt Jersey courtesy of Caesars. It doesn't matter if you are a little leaguer or playing baseball professionally. The day that you receive your baseball card is always a special day. 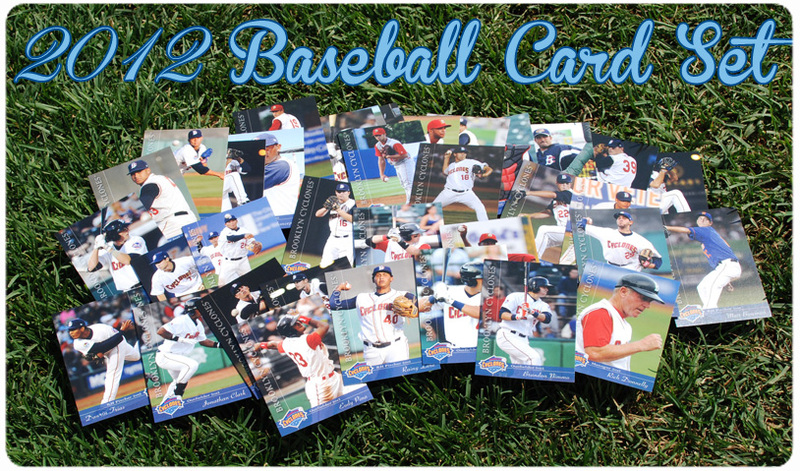 Find out what the 2012 Cyclones thought about their first baseball cards as a professional. Stefan Sabol was drafted in the 17th round after his senior year of high-school and he wrestled with the decision to turn pro or attend college. Two years later, Stefan finally has some closure because he is right where he belongs...Brooklyn! 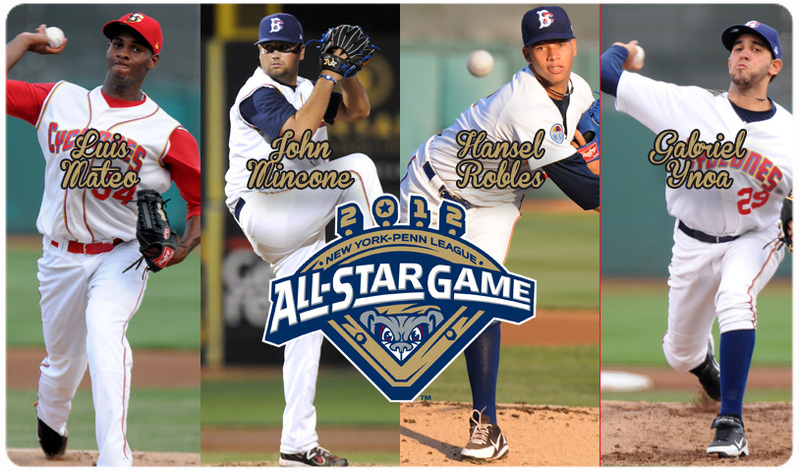 The New York-Penn League has announced the rosters for the eighth annual New York-Penn League All-Star Game to be played at Mahoning Valley’s Eastwood Field on Tuesday, August 14th and once again the Cyclones are well represented on the National League affiliates roster. Sunday is Funday at MCU Park. This Sunday, fans have the chance to head to the field pre-game for a special autograph session with Cyclones players, and then stick around post-game for Kid Run the Bases. But that's not all. The first 3,000 fans in attendance will receive a full-sized wooden bat that is PERFECT for autographs. That's a Sunday full of excitement from beginning to end! 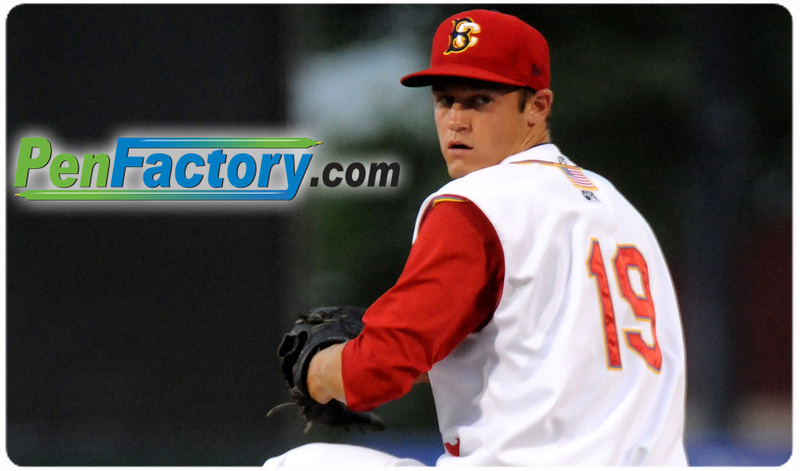 Every week we will highlight a Cyclones hurler as part of our "In the Pen" series presented by PenFactory.com. This week we focus on Beck Wheeler, who beat the odds to make it to Brooklyn and professional baseball. 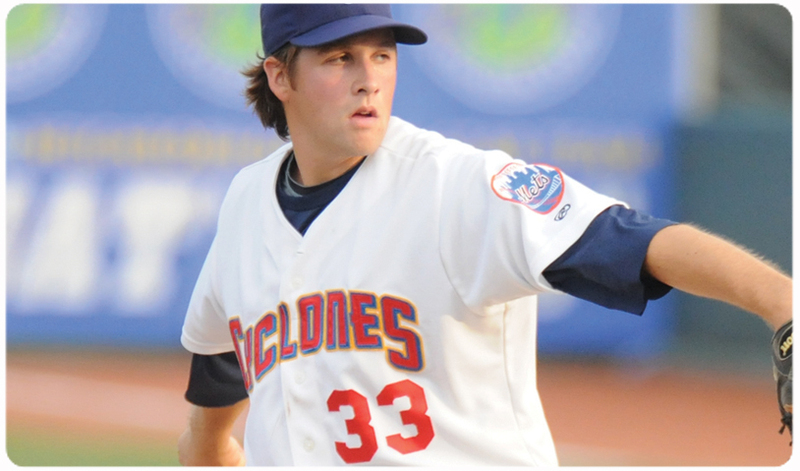 Head to MCU Park on Saturday, August 11th and the first 3,000 fans in attendance for the 6:00 pm game against the Vermont Lake Monsters will receive a Cyclones cap. Then stick around post-game and enjoy a fireworks extravaganza. Tickets start at just $9. 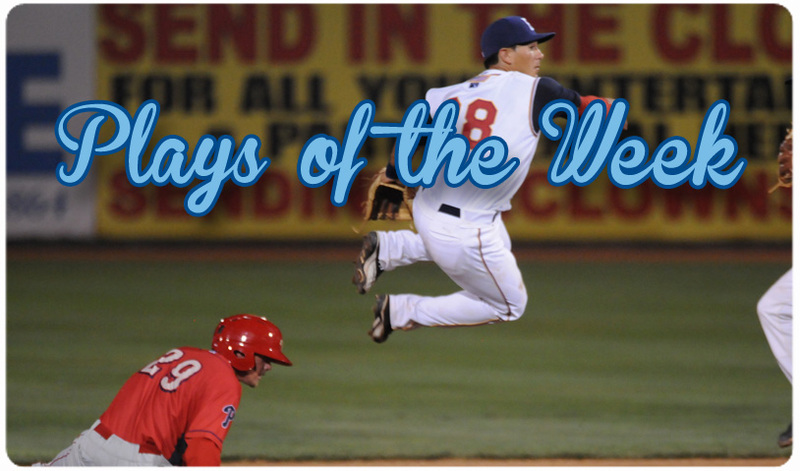 Here is a look at the best plays from the week that was for the Brooklyn Cyclones. 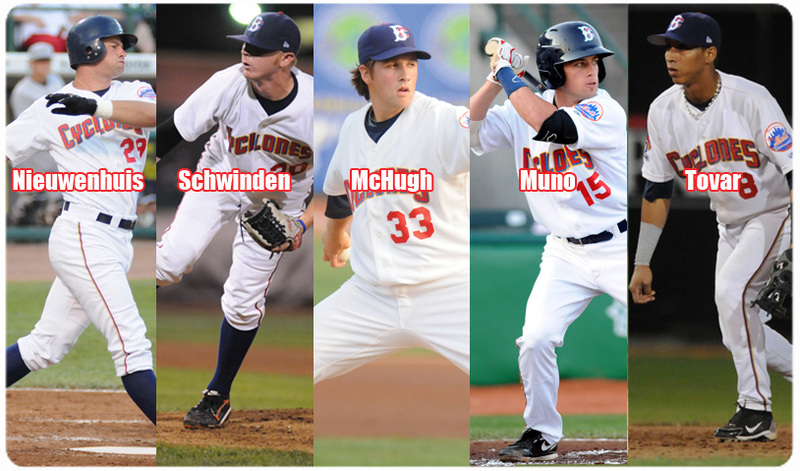 The team returns to MCU Park on Friday to open a three-game series against the Vermont Lake Monsters. On Friday, August 10th the first 3,000 fans in attendance for the 7:00pm game against the Vermont Lake Monsters will receive a Cyclones performance t-shirt courtesy of Midwood Ambulance. 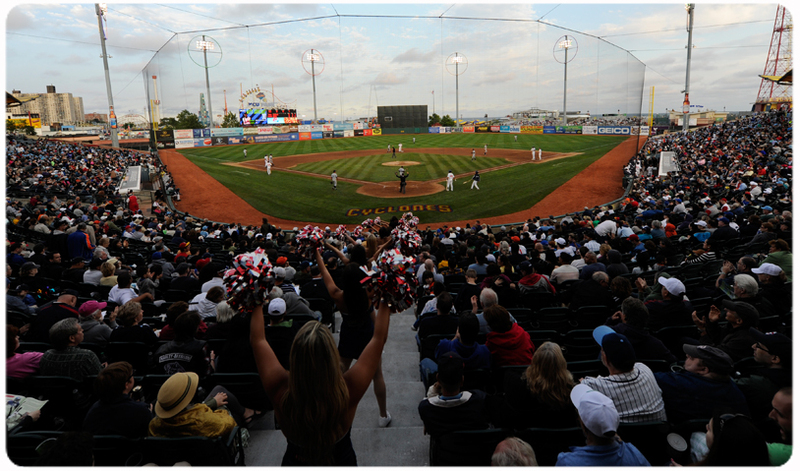 Then stick around after the game and enjoy the Coney Island Fireworks from the comfort of your seat in the ballpark. 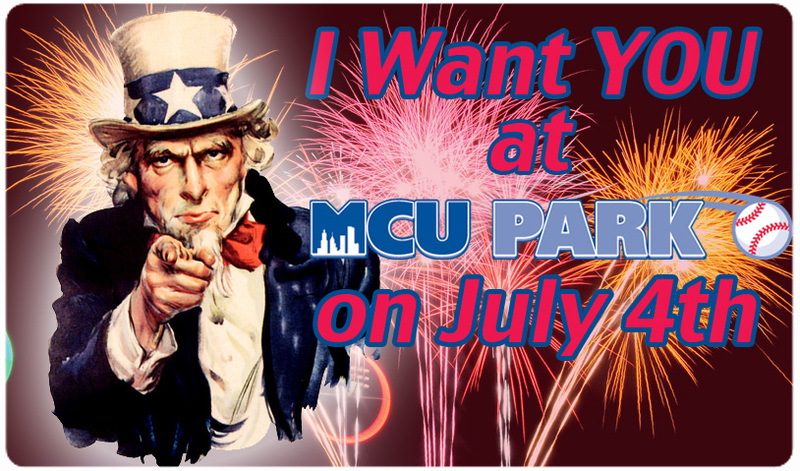 Kick your weekend off with a BANG at MCU Park on Friday and Saturday night with post-game fireworks. Come see the Cyclones take on the Vermont Lake Monsters at 7:00 on Friday and 6:00 on Saturday as Brooklyn continues the push for the playoffs. 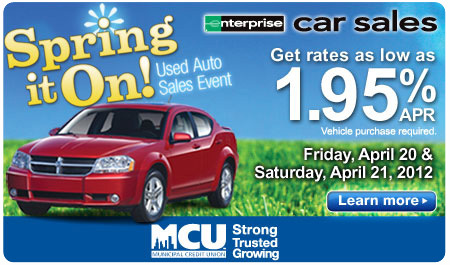 Tickets start at just $9. 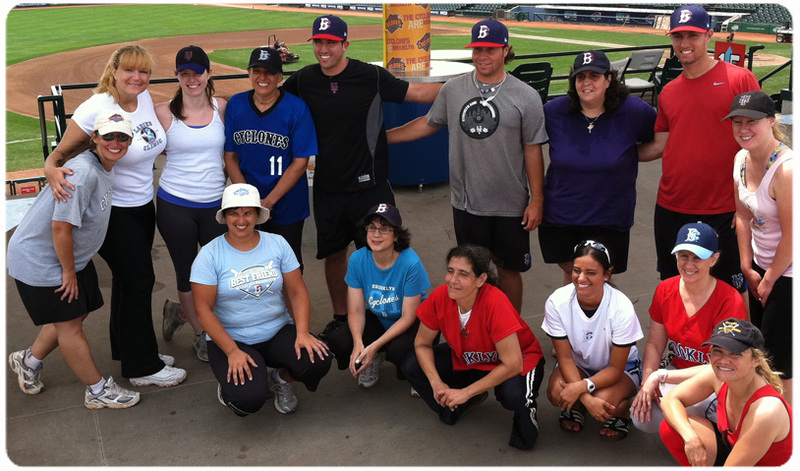 Take HER out to the ballgame for the Ladies Clinic at MCU Park on Saturday, August 11th at MCU Park. Learn the fundamentals of the game with an emphasis on FUN from the Cyclones players while enjoying a day at the ballpark. 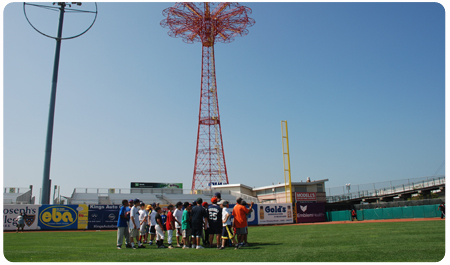 Here's your chance to take the field with the Brooklyn Cyclones and try your hand at what it is like being a professional baseball player. 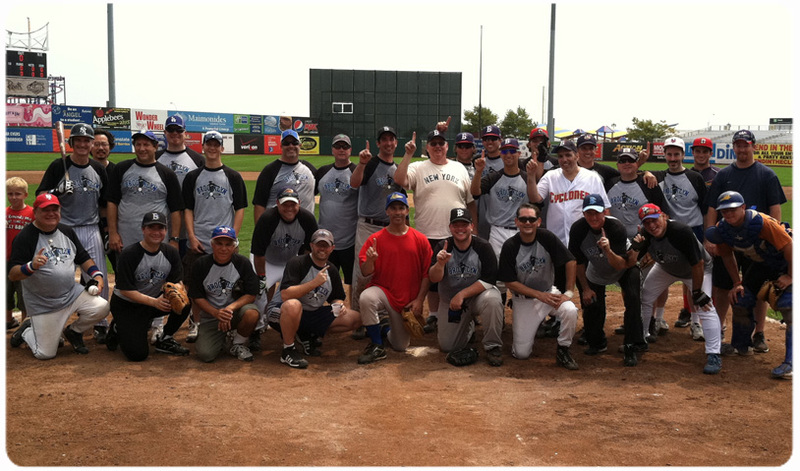 Sign up for the 2012 Mens Camp on August 12th at MCU Park. The Brooklyn Cyclones Beach Bums will hold their annual Dance Clinic at MCU Park on Saturday, August 11th. The clinic, which is open to children 10 and older, costs just $25 and include two ticket that evening's game. Who wants to go to work on Monday anyway? 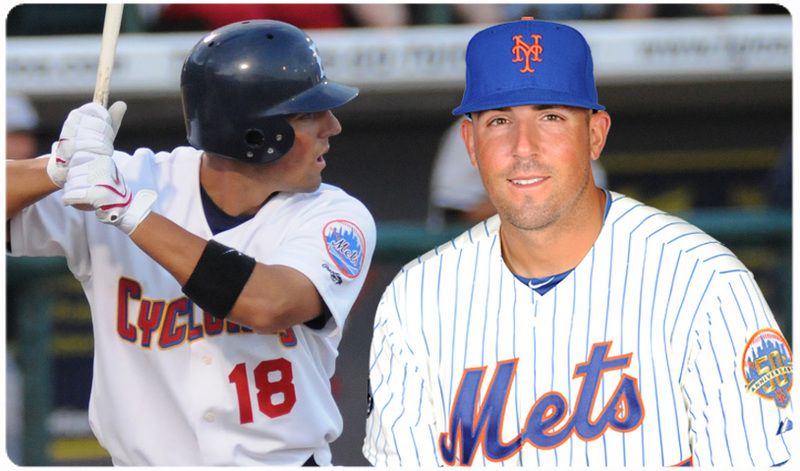 Head to MCU Park on Monday, August 6th when the Cyclones take on the Auburn Doubledays at 11:00 AM. 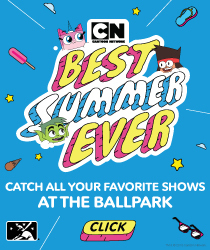 Enjoy the sun and some great baseball action instead of sitting in traffic or on a crowded subway car. 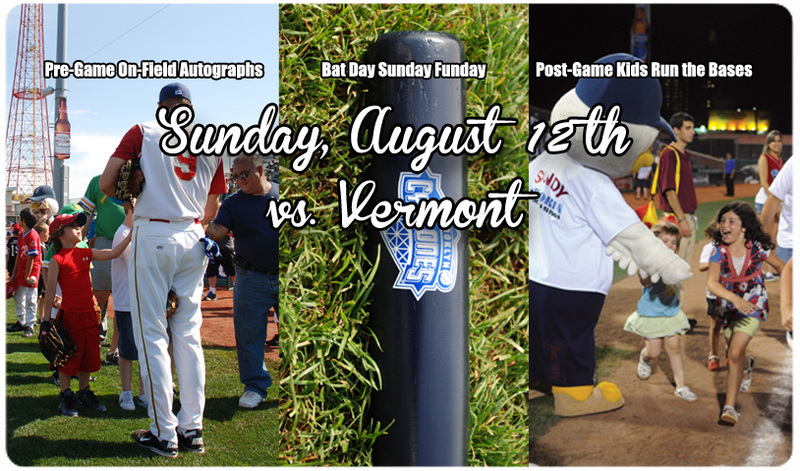 Coming to the ballpark for Bat Day Sunday Funday on Sunday, August 5th? 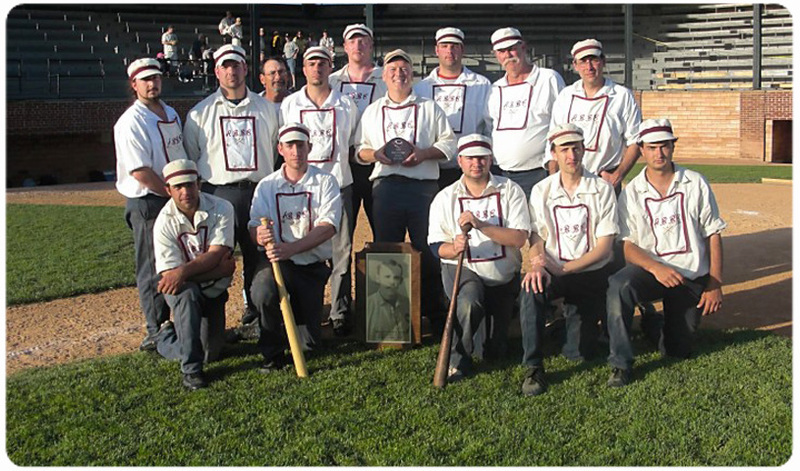 Get here early for a chance to see a special exhibition game from the Atlantic Base Ball Club which plays using the same rules, equipment and uniforms as the Brooklyn Atlantics from 1864. The exhibition will start promptly at 3:30 pm. 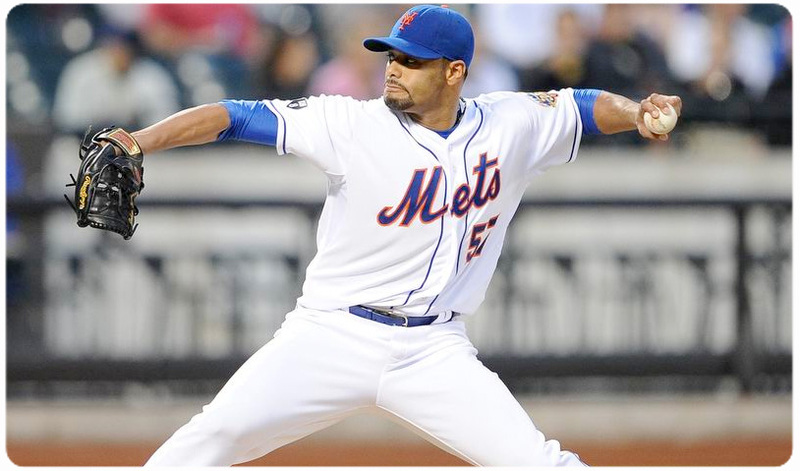 Mets pitcher Johan Santana will make a rehab start for the Cyclones on Sunday, August 5th as the team takes on the Auburn Doubledays at 5:00 PM. Coincidentally, Santana pitched for Auburn early on in his career when they were an Astros affiliate in 1997 and 1998. 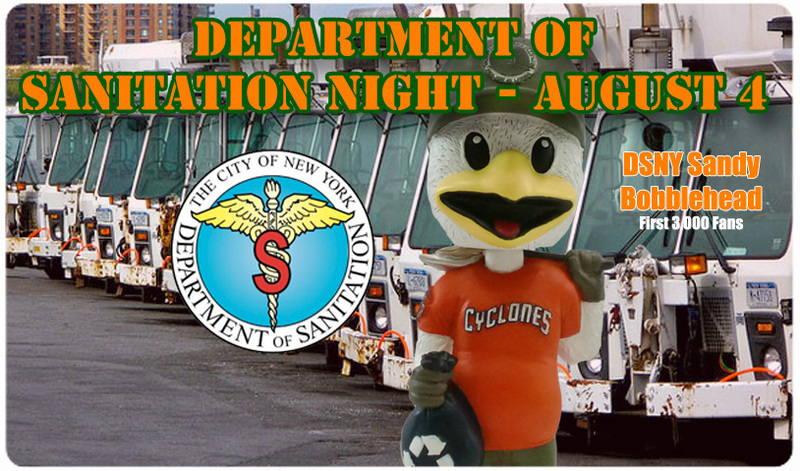 The Cyclones will celebrate Department of Sanitation Appreciation Night on Saturday, August 4th when they on the Auburn Doubledays at 6:00 PM. The first 3,000 fans in attendance will receive a DSNY Sandy bobblehead courtesy of Municipal Credit Union. 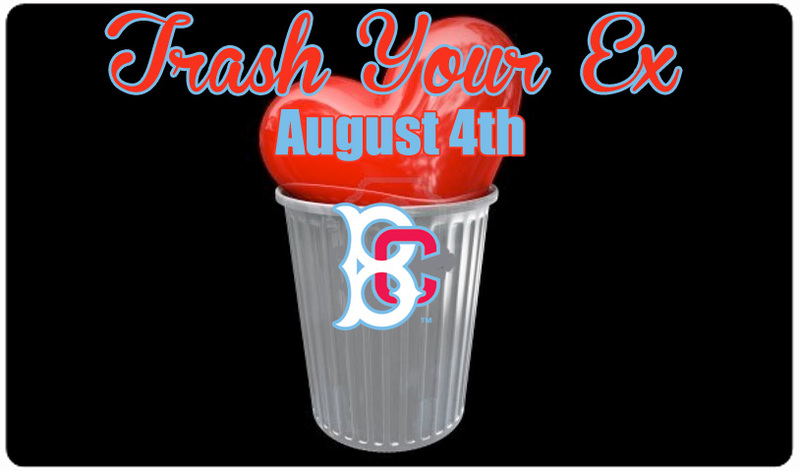 Come to MCU Park on Saturday, August 4th as we celebrate "Trash Your Ex" night. We are asking fans to bring their old momentos from relationships past and put them where they belong...IN THE TRASH! 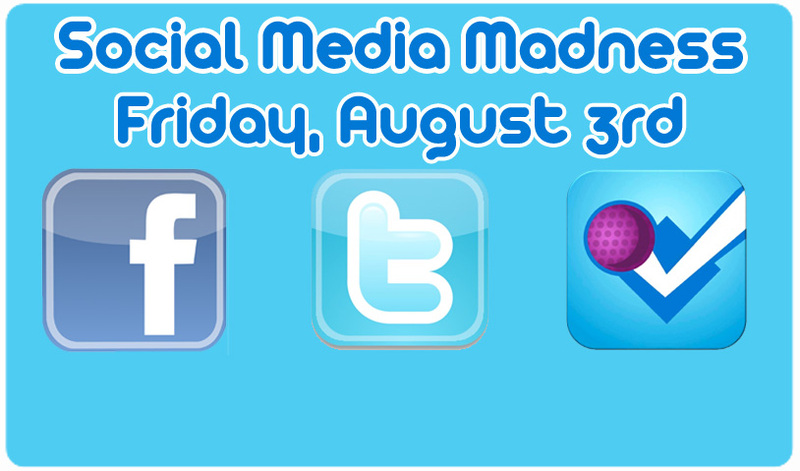 Join the Cyclones on Friday, August 3rd for our 2nd Annual Social Media Madness at MCU Park. There will be prizes, giveaways and contests galore. 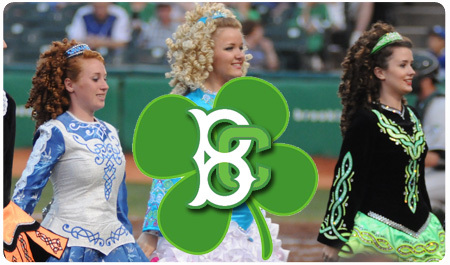 Head to MCU Park on Thursday, August 2nd for Irish Heritage Night when the Cyclones take on the Connecticut Tigers at 7:00 pm. The first 3,000 fans in attendance will receive a Cyclones Irish Jersey presented by Budweiser. Tickets start at just $9 and are on-sale now! Do you have what it takes to be the next Millionaire? 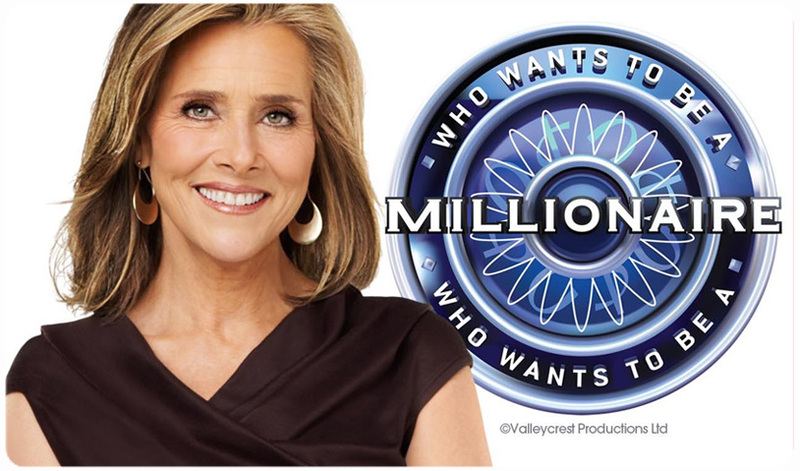 Open auditions for "Who Wants to be a Millionaire?" 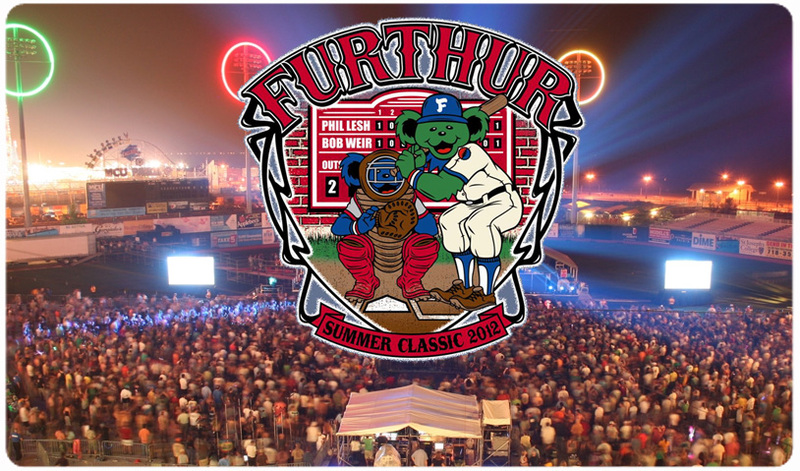 will take place on Thursday, August 2nd at MCU Park. 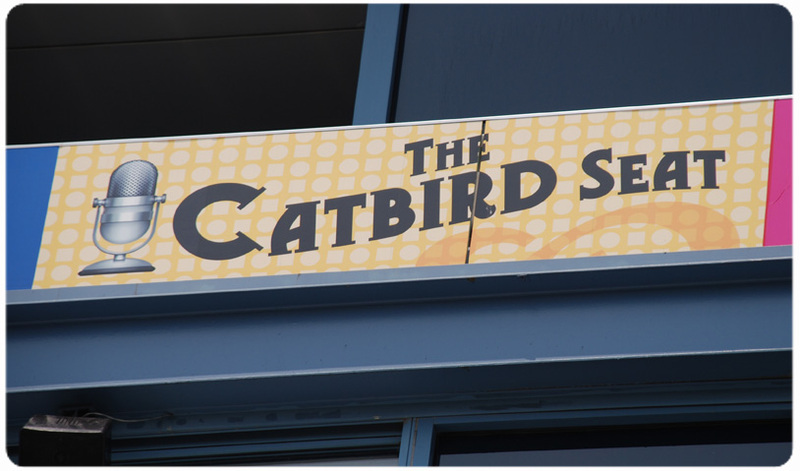 Gates open at 5:30 p.m. and the audition test starts PROMPTLY at 6:00 PM. 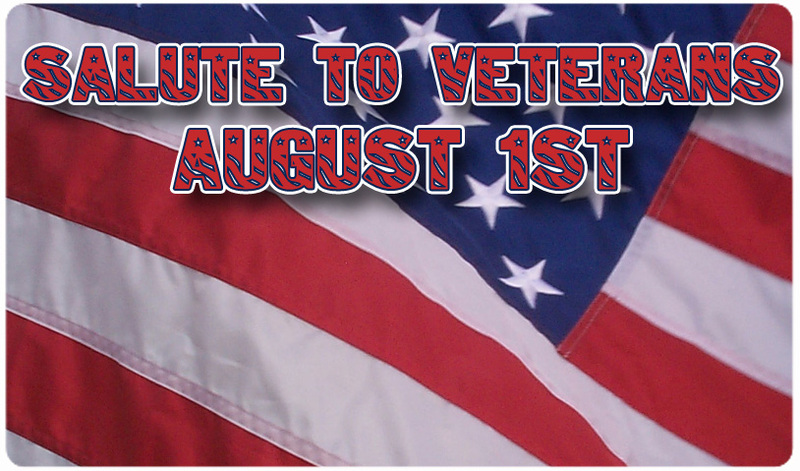 Join the Cyclones on August 1st as we pay tribute to the men and women of our armed forces who have served our country in the battle to keep us free and safe on Salute to Veterans night at the ballpark. The Cyclones will be giving away 100 pairs of tickets to veterans who show their proof of service at the MCU Park box office. 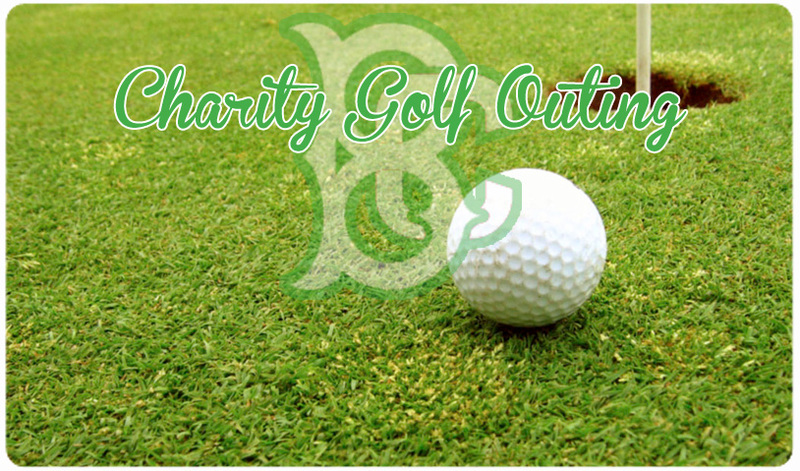 Join us for the Sixth Annual Brooklyn Baseball Charity Golf Outing at Dyker Beach Golf Course on Tuesday, July 31 at 1:30 PM. The event will raise money for the ALS Association of Greater New York. After his sophomore year at Oak Grove High School, Tyler Vanderheiden wasn’t having much success on the mound so his coach asked if he would be willing to try throwing sidearm. Vanderheiden practiced over the summer and that was the beginning of his career as a submarine pitcher. Who wants to work when you can spend your afternoon at the ballpark? 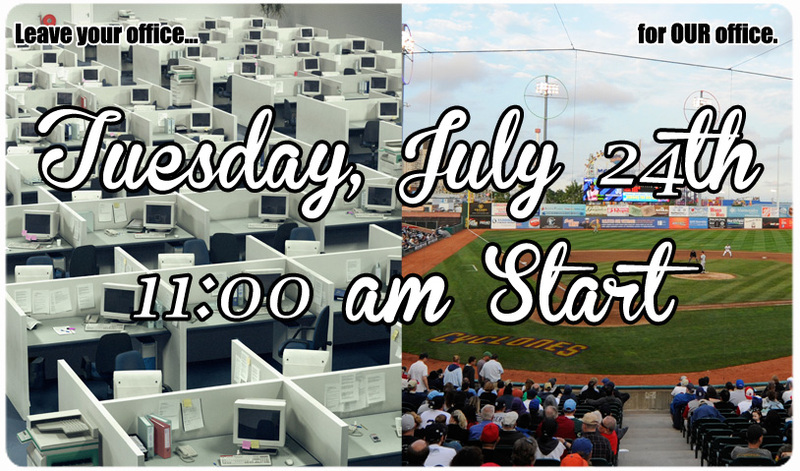 Head to MCU Park on Tuesday, July 24th for a special 11:00 AM start when the Cyclones take on the Aberdeen IronBirds. Be sure to check out our Facebook page for a special ticket offer for this game. 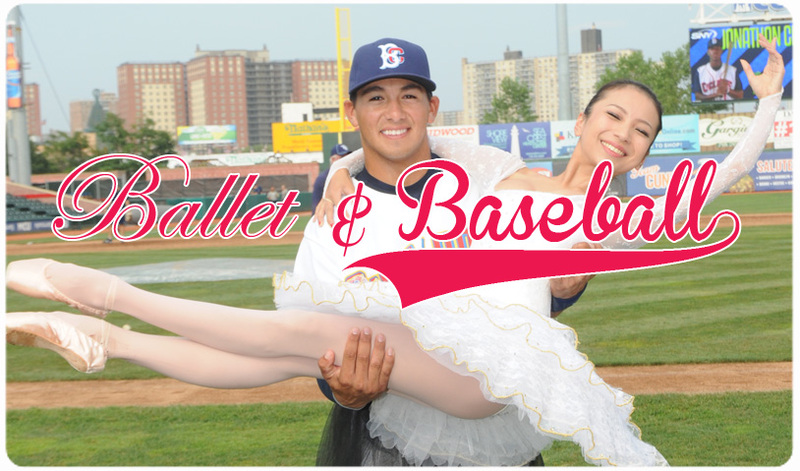 Join the Cyclones and Brooklyn Ballet on Monday, July 23rd for the first-ever Ballet & Baseball performance at MCU Park featuring a once-in-a-lifetime performance of A History of Ballet in Nine Innings. 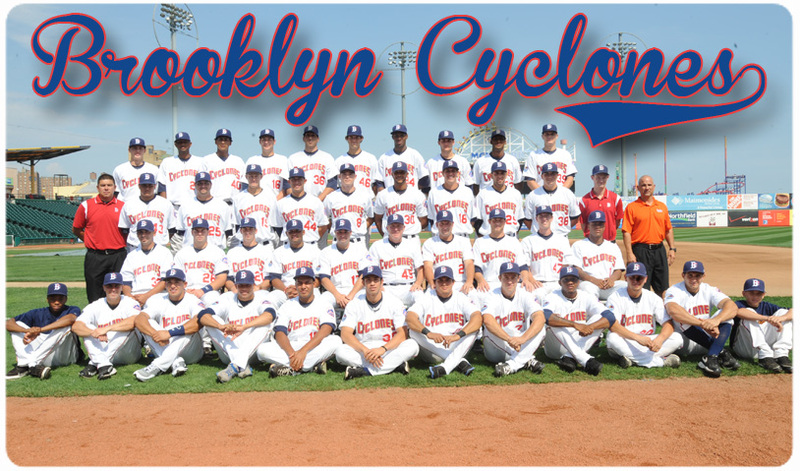 Come to MCU Park on Sunday, July 22nd when the Cyclones take on the Yankees at 5:00 pm. 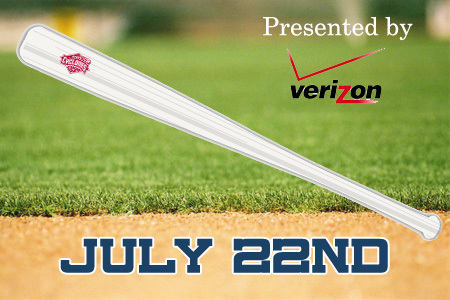 The first 3,000 fans in attendance will receive a full-sized white bat courtesy of Verizon. But that's not all. 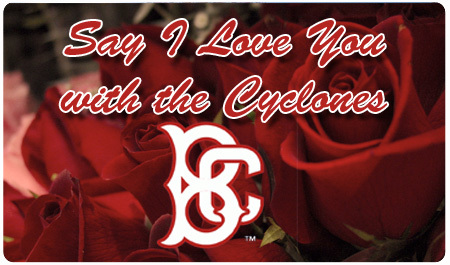 From 4:00-4:30 fans can head down to the field for autographs and photos with their favorite Cyclones. 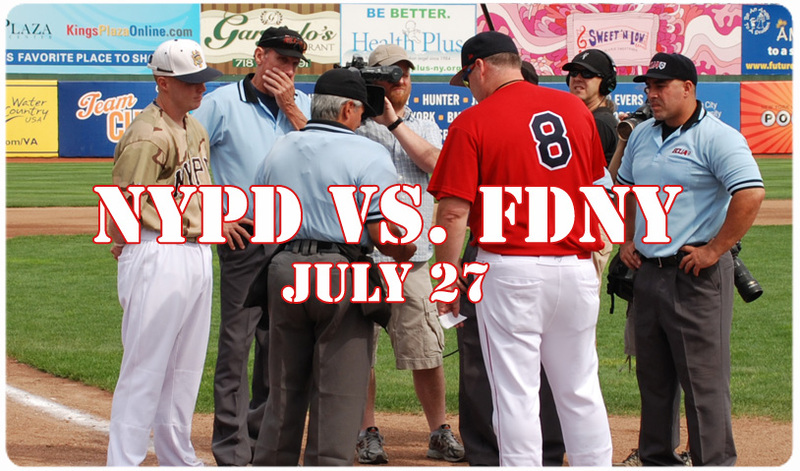 Head to MCU Park on Friday, July 20th for FDNY Night when the Cyclones take on the Yankees. 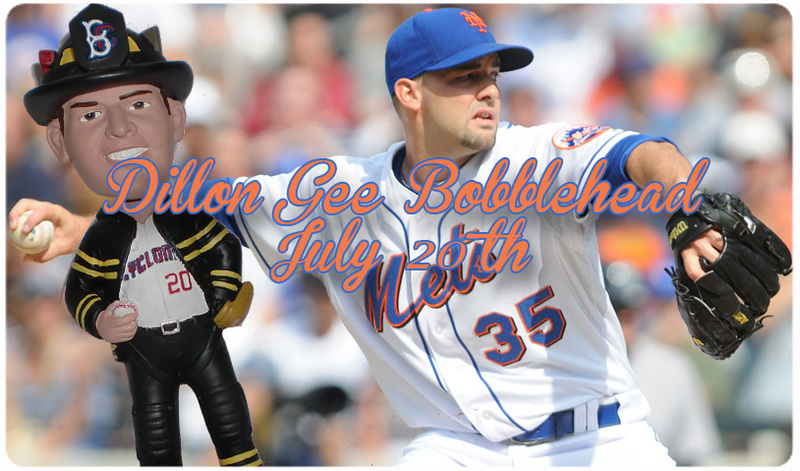 The first 3,000 fans in attendance will receive a Dillon Gee Bobblehead courtesy of Lutheran Medical Center. Tickets start at just $9. 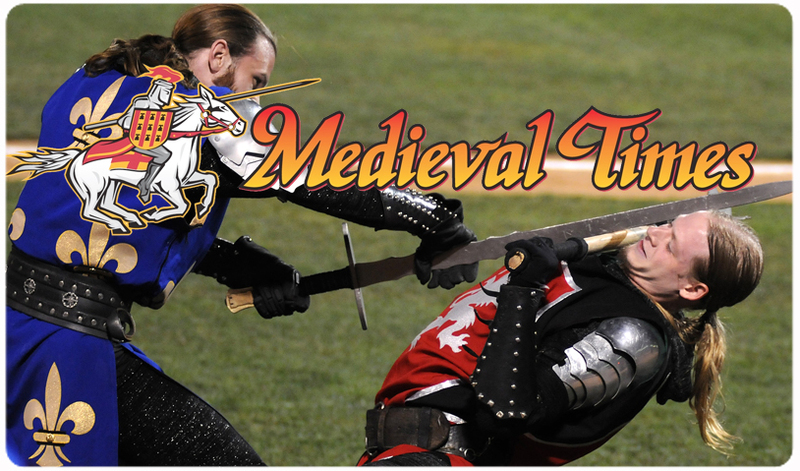 One of our most popular theme nights of years past returns to MCU Park on Tuesday, July 17th when the Cyclones host Medieval Times night at the ballpark. Enjoy the fun and excitement of Cyclones baseball with some jousting and sword fights in between the action. Tickets start at just $9. Learning the game of baseball and becoming one of the premiere players in our national pastime isn’t an easy task for any professional baseball player. One of the biggest challenges for many players isn’t fielding ground balls or executing the perfect pitch: It’s the English language. 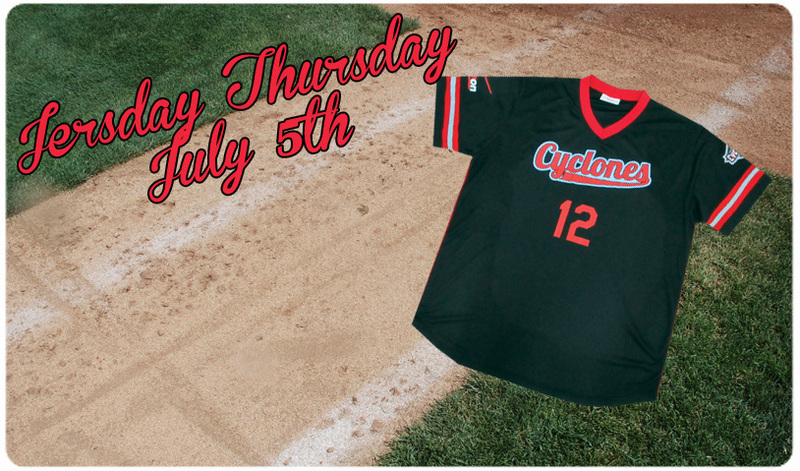 The Cyclones return to MCU Park on Tuesday, July 17th for the first Throwback T-Shirt Tuesday of the season. 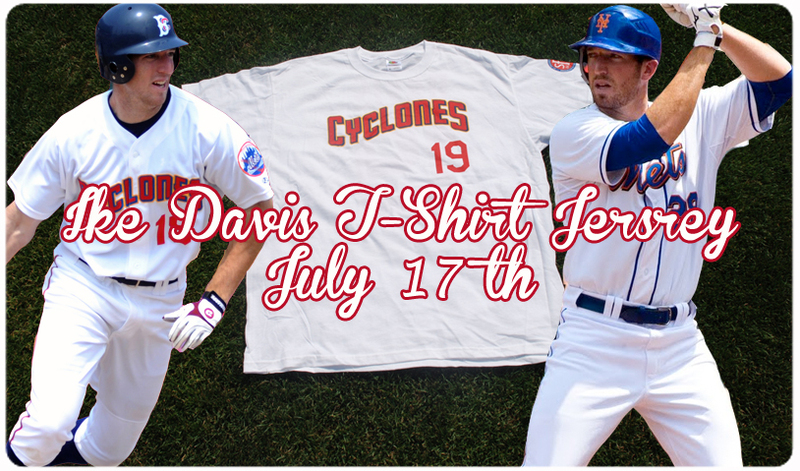 The first 3,000 fans in attendance will receive an Ike Davis Cyclones T-Shirt Jersey courtesy of St. Francis College. Tickets start at just $9. 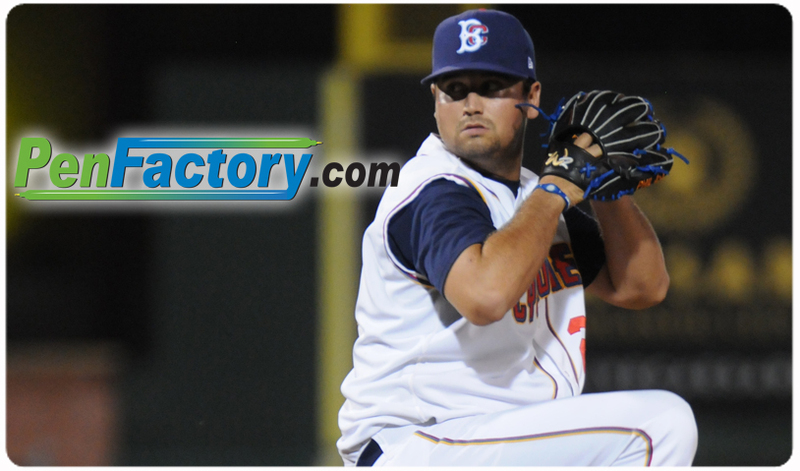 Every week BrooklynCyclones.com will highlight a member of the Cyclones pitching staff through our "In the Pen" feature presented by PenFactory.com. 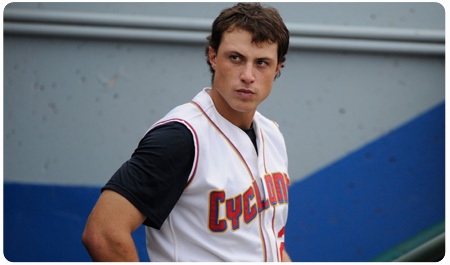 This week we focus on John Mincone who is thriving in his return to professional baseball with the Cyclones. 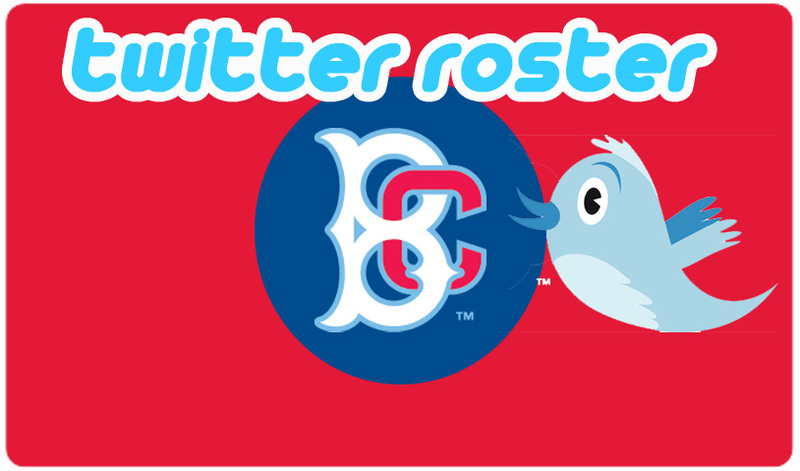 Keep tabs on your favorite Cyclones player 24/7 with our all-new Brooklyn Cyclones Twitter roster. 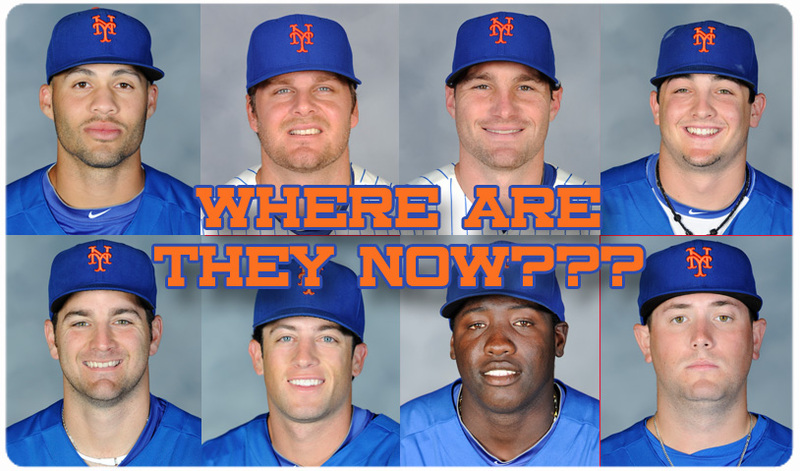 Follow Brandon Nimmo, Kevin Plawecki, Phillip Evans and many more! 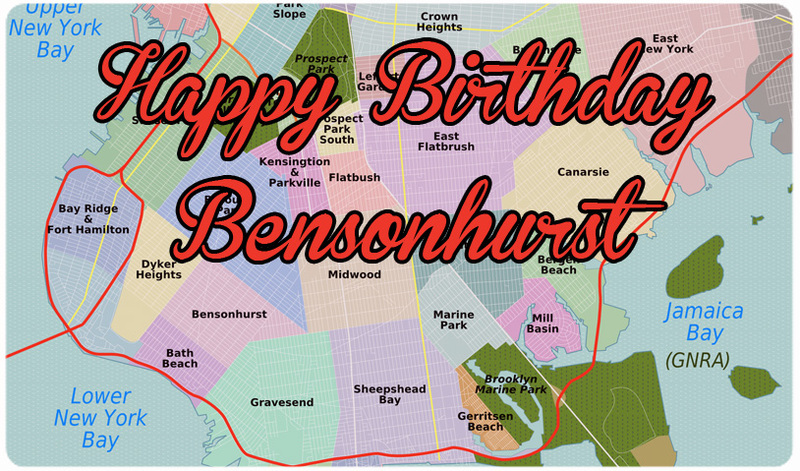 Head to MCU Park on Monday, July 9th as we celebrate Bensonhurst's 350th Birthday. All tickets for the game will be $9 and there will be a special birthday cake courtesy of "The Cake Boss." 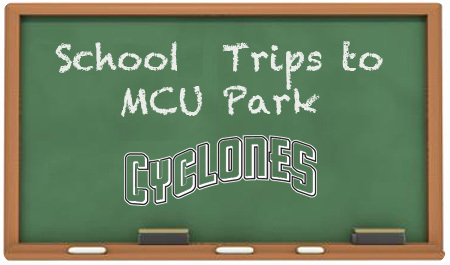 Head to MCU Park on Monday, July 9th when the Cyclones take on the Jamestown Jammers. All tickets - field box, box, or bleacher- will be just $9. Plus stick around after the game when EVERYONE can run the bases. 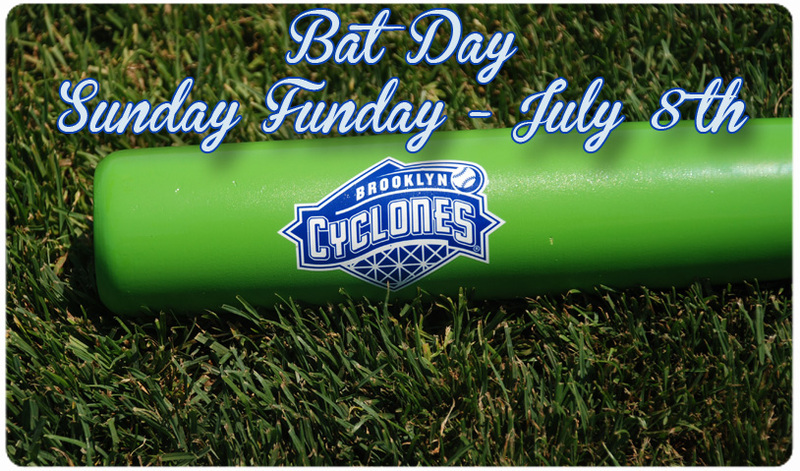 Head to MCU Park this weekend for our first-ever Bat Day Sunday Funday. 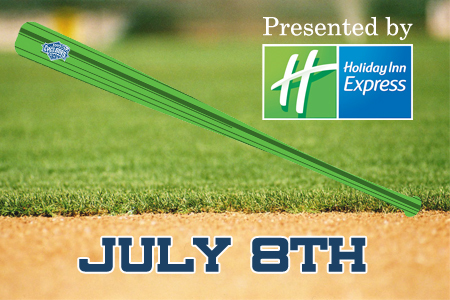 The first 3,000 fans in attendance will receive a full-sized baseball bat compliments of Holiday Inn Express. But we've got more fun in store! 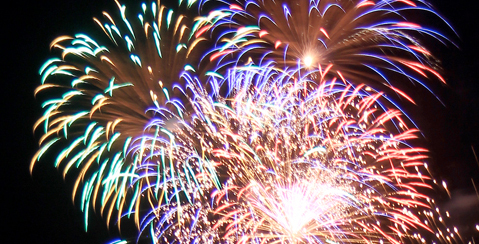 Didn't get your fill of fireworks on Independence Day? Don't worry, we've got you covered. 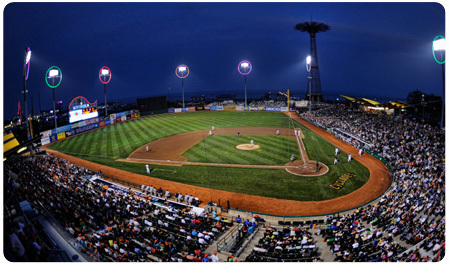 Head to MCU Park this weekend for great baseball action and post game fireworks on Saturday night. 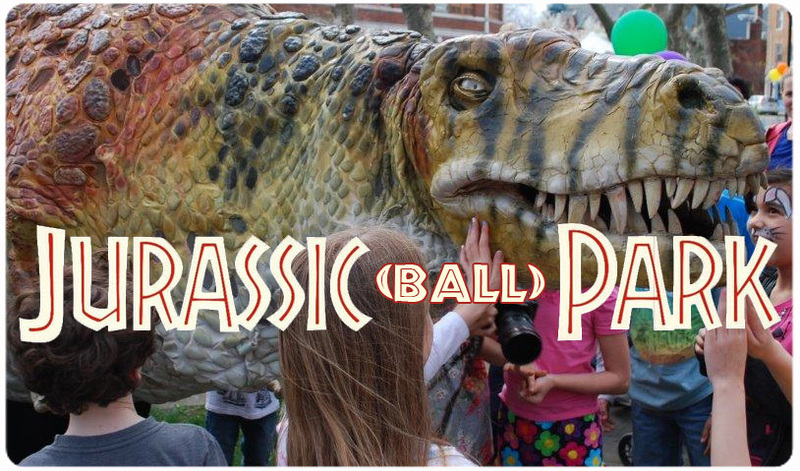 On Saturday, July 7th MCU Park will be taken back in time, to when dinosaurs roamed the earth, with Jurassic (ball)Park thanks to the all-new Field Station: Dinosaurs in Secaucus, NJ. 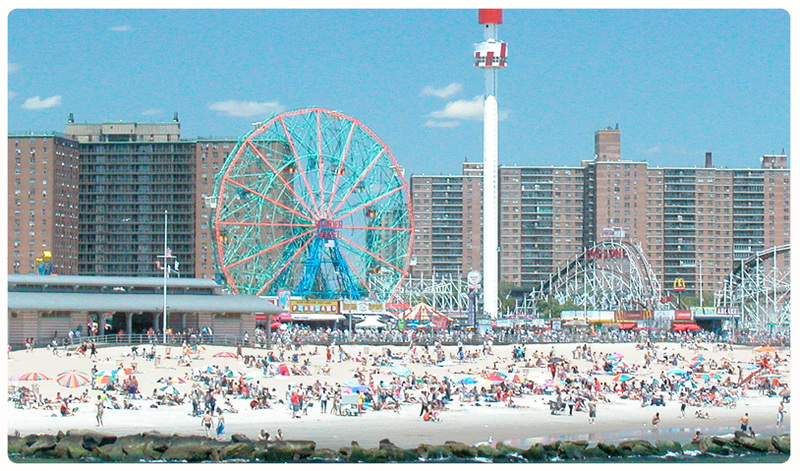 On July 4th, Coney Island will be the perfect place to jump start your summer. 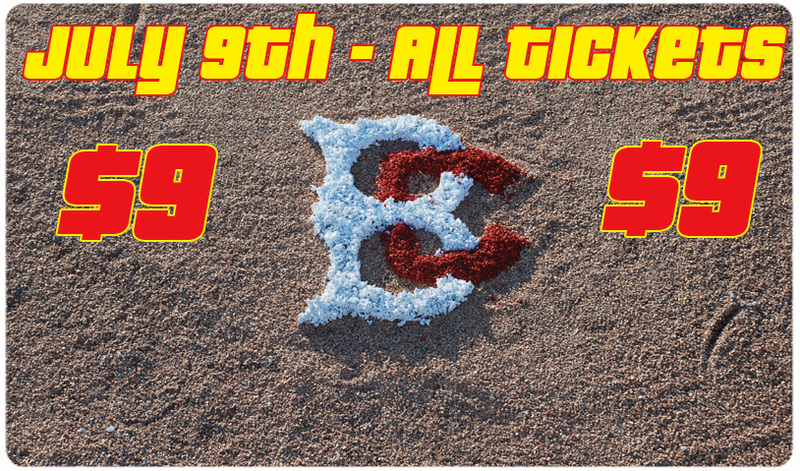 Enjoy the Nathan's hot dog eating contest, spend some time at the beach and then cap your day with the first-place Cyclones and postgame fireworks. We have All-You-Can Eat Seats, Pay One Price Plans and more! 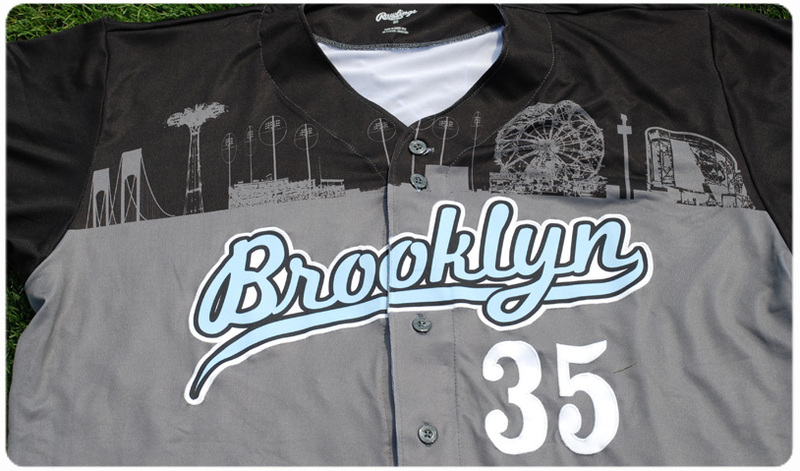 Head to MCU Park for the third in our series of Jersday Thursdays featuring the Black & Red jersey presented by Verizon. 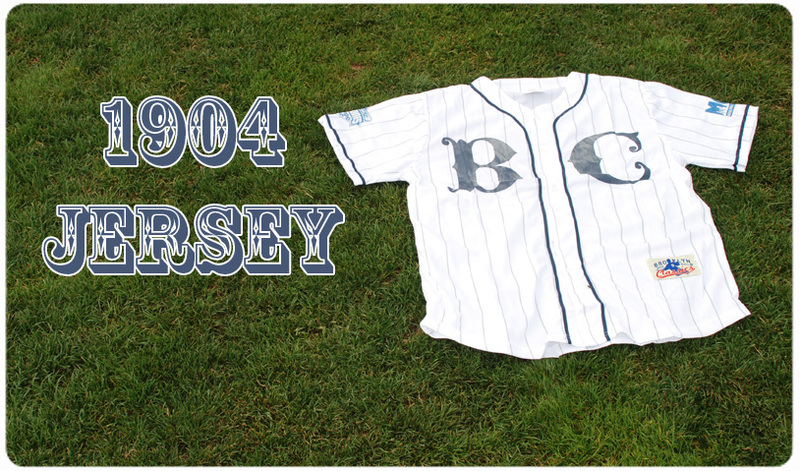 The first 3,000 fans in attendance for the 7:00 pm game against the Williamsport Crosscutters will receive this replica jersey. 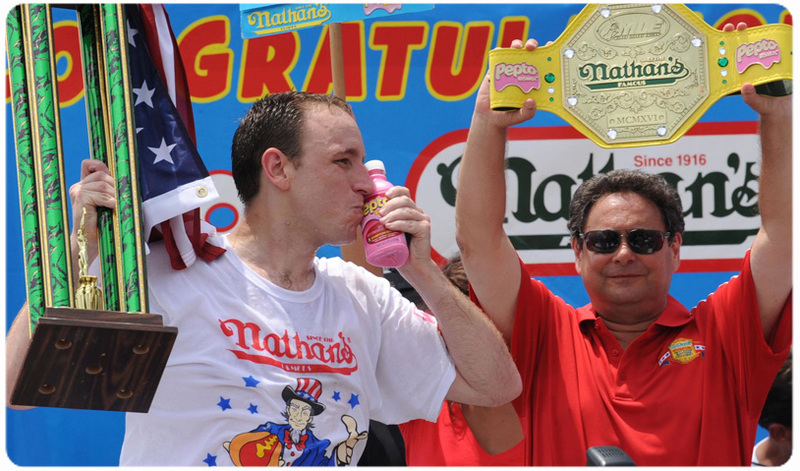 In honor of Joey Chesnut's record performance down the block at the Nathan's Hot Dog Eating Contest, all bleacher tickets for tonight's game will be $6.50 starting at 1:15 pm. 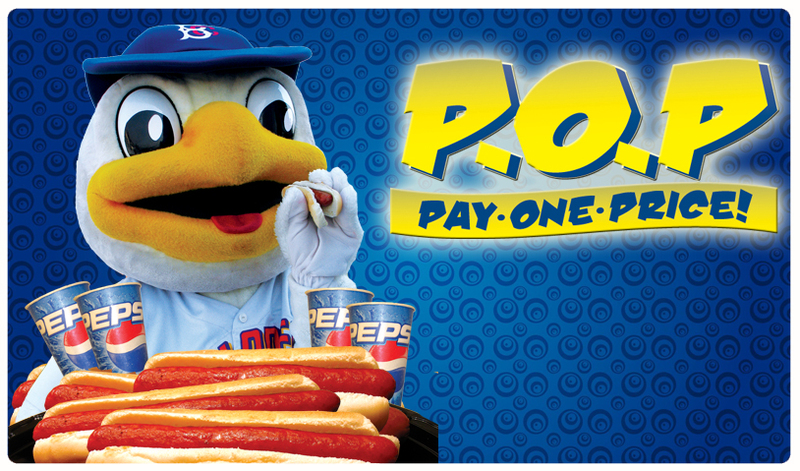 We know he ate 68 hot dogs and buns, but we figure by this point he's "refunded" at least three of them. 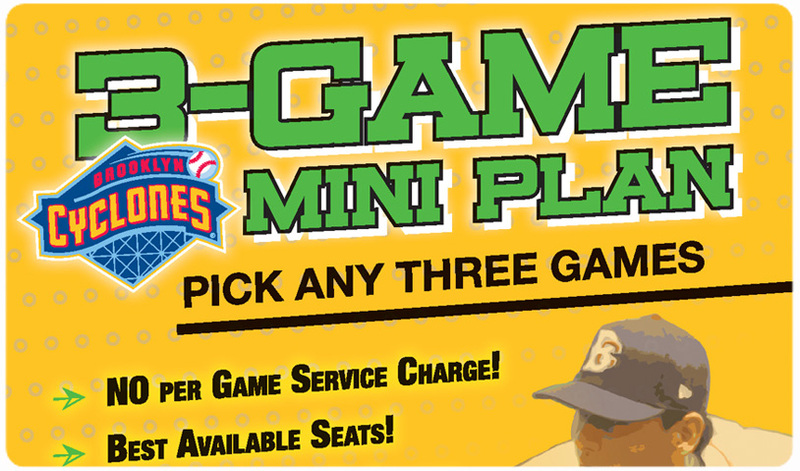 Offer is valid ONLY at MCU Park box office. 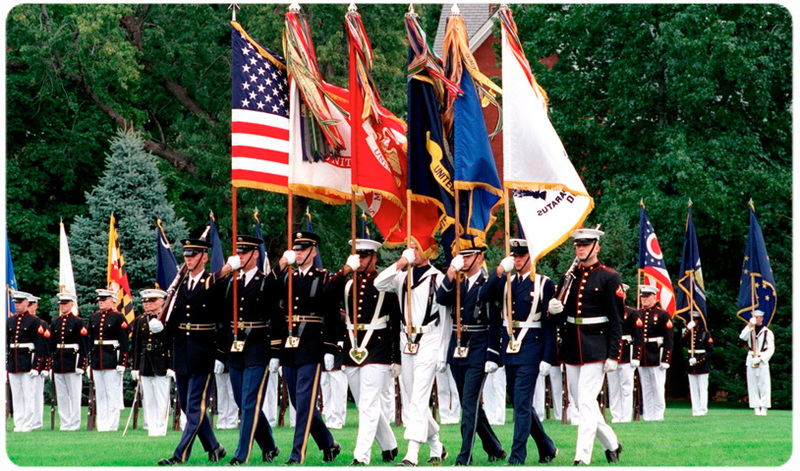 Come to MCU Park on Monday, July 2nd for Military Appreciation Night when the Cyclones take on the Hudson Valley Renegades. 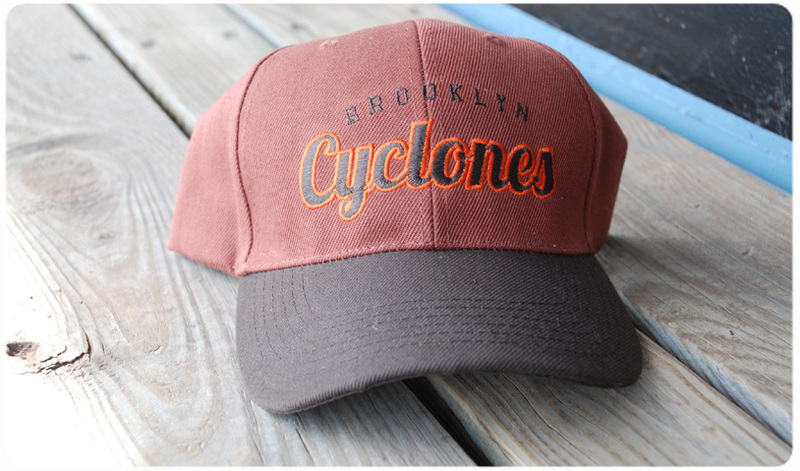 Show your miliary identification and receive a field box ticket, food voucher and Cyclones cap for just $15. 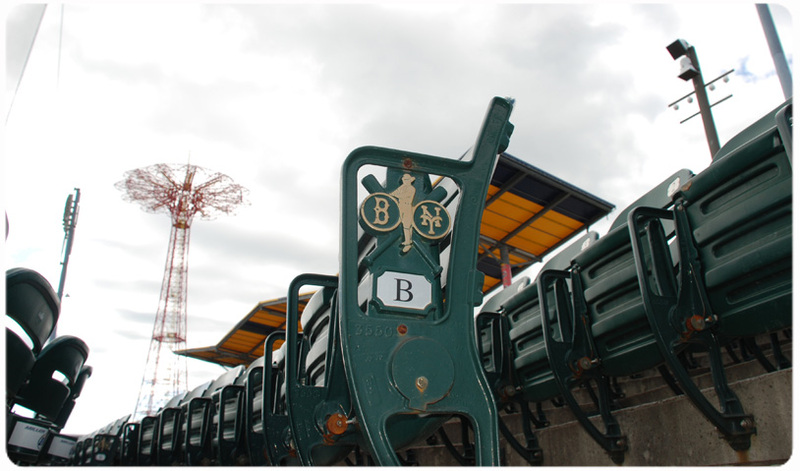 Join the American Cancer Society and the Brooklyn Cyclones on Saturday, June 30th, 2012 for the 8th Annual Take Your Base Run/Walk on the famous Reigelmann Boardwalk on Coney Island. The fee for runner registration is $25 if you register before April 1st, $30 if you register before June 25th, $35 until June 29th and $40 on the day of the event. 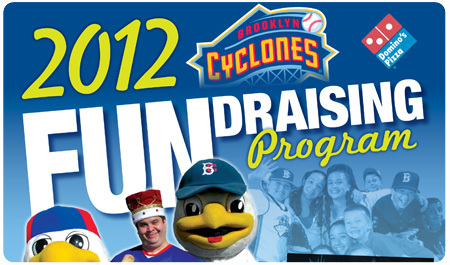 The registration cost includes an official Take Your Base Jersey (for the first 500 fans to register), ticket to 2012 Brooklyn Cyclones home game, and a photo taken of each runner as they cross home plate. Walkers who raise a minimum of $30 are also eligible for the additional perks mentioned above. Get your team together! Gather your friends and family and join the American Cancer Society and the Cyclones and let’s knock cancer out of the park!! All funds raised go to cancer research, education, advocacy and patient service programs. Hit a home run by signing up today for this year’s event. Whether you run, walk, mosey, stroll, or dance your way down the boardwalk come out and celebrate the 8th Annual Take Your Base. Let’s honor our survivors and remember those we have lost. Together, we can find a cure! Get involved in Take your Base today! 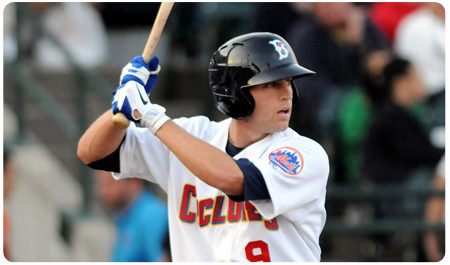 Don’t miss out on your chance to meet your 2012 Brooklyn Cyclones and get their autographs. Fundraise for the opportunity to win some fantastic prizes. Each year, the Cyclones team with the American Cancer Society to gather fans, players, coaches, front office members -- anyone who wants to walk the Coney Island boardwalk -- in support of a truly worthy cause. The event has raised over $100,000 in its brief seven-year history, and with your participation, that number will continue to grow! BUILD YOUR TEAM - Recruit by asking your friends, family, co-workers and your neighbhors to join your team. SET A GOAL - Set your goals high so you have something to strive for and get a chance to win exciting incentives. FUNDRAISE - Ask for donations. Send out fundraising emails from your personal page. COME OUT TO MCU PARK on June 30th and walk or run in the fight against cancer! On Wednesday, June 27th WWE Superstars ® Mark Henry and Zack Ryder as well as WWE Divas ® Lilian Garcia and Natalya will be at MCU Park as part of Anti-Bullying Night. 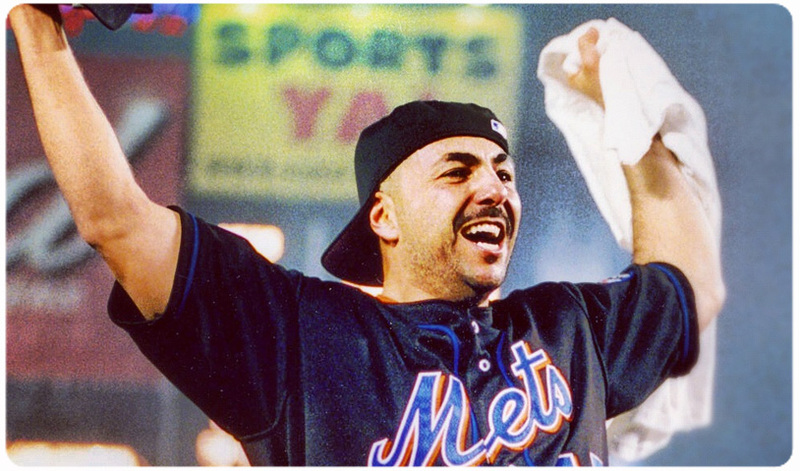 Earlier this month John Franco was enshrined in the New York Mets Hall of Fame at Citi Field. Now, he is joining forces with the Cyclones for "Franco Fridays" at MCU Park where fans get two tickets, plus an orange DSNY t-shirt signed by the Mets Hall of Famer, for just $45. A portion of the proceeds will benefit the DSNY Employees Comunity Fund. 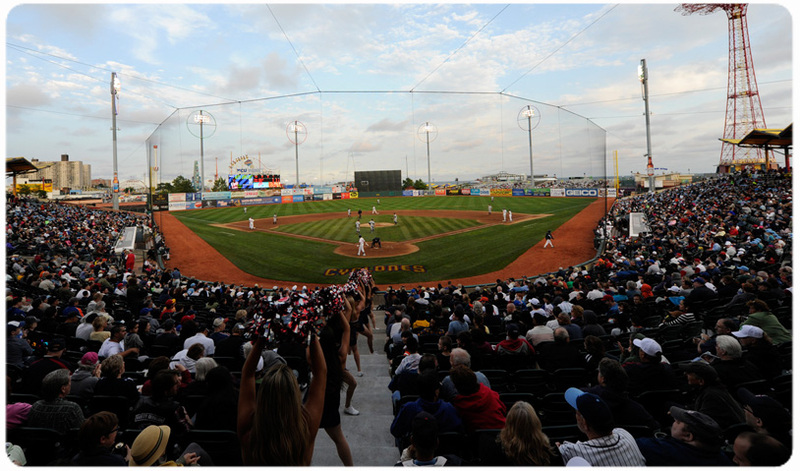 As MCU Park gets ready to host TNA Wrestling's BaseBrawl at MCU Park, A.J. Styles will be at the ballpark on Friday, June 29th signing autographs and throwing out a ceremonial first pitch. 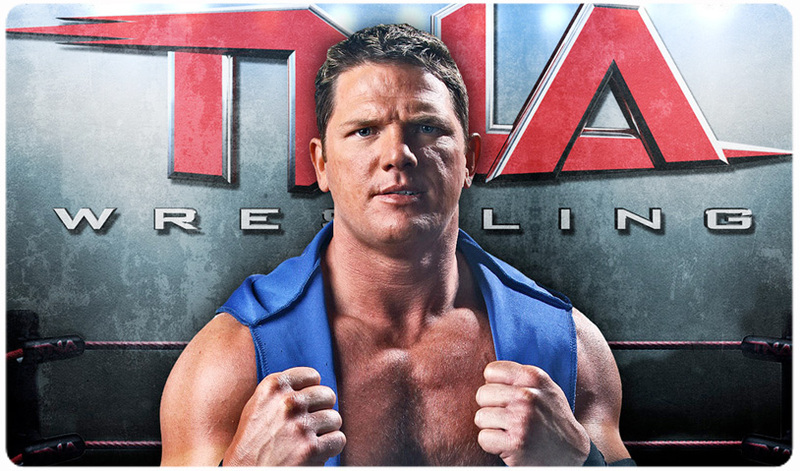 TNA Wrestling returns to Coney Island on July 21st. 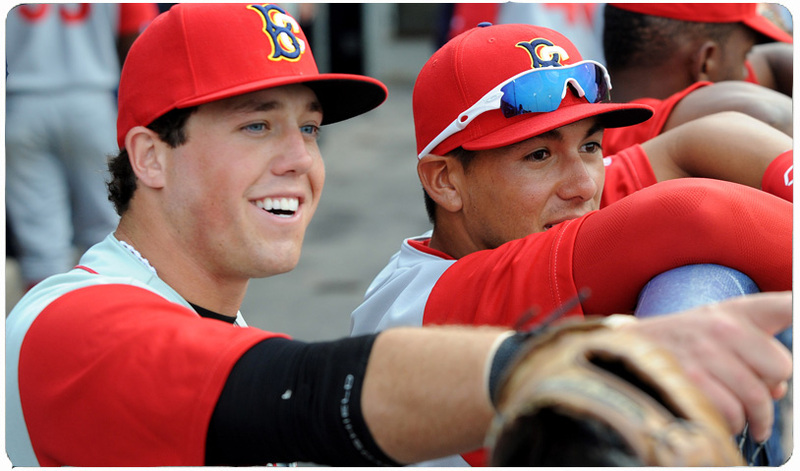 After beginning his professional career with the Cyclones in 2011, Cole Frenzel is back in Brooklyn for year two. But this time he knows what he needs to do to make his next trip to the Big Apple come in the orange and blue of the New York Mets. Our second Jersday Thursday of the year will be on June 28th when the first 3,000 fans in attendance receive an alternate home jersey replica courtesy of Pepsi. For every Monday and Wednesday home game - including Opening Day, June 18th - the Cyclones will offer unbeatable value with our $77 Pay One Price Four Pack. MCU Park will host a memorial service for Warner Fusselle on Friday, June 22nd at noon. The service is open to the public and will be held in The Gallery. 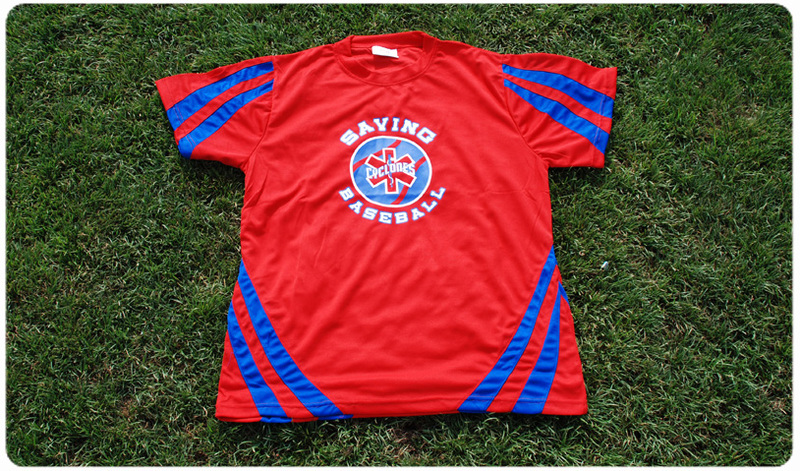 Our ever-popular Jersday Thursday series is back for the 2012 season and will kick off on Thursday, June 21st with our Old School Road Jersey for the first 3,000 fans in attendance courtesy of SUNY Downstate. 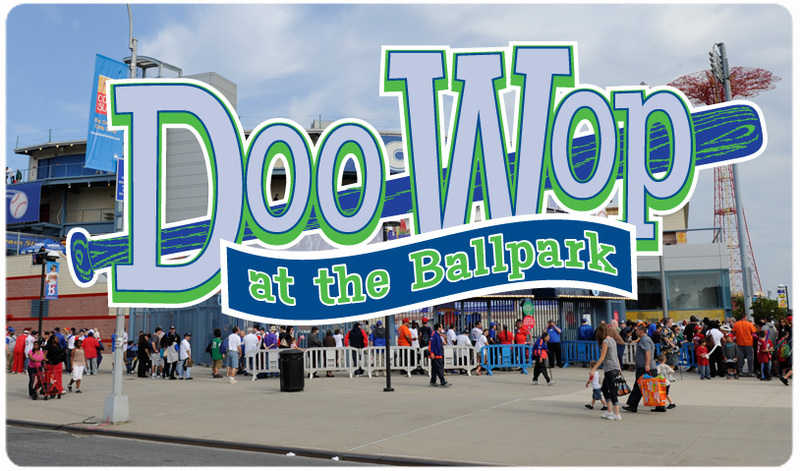 On Monday, June 25th the first 3,000 fans in attendance at the 7:00 pm game against the Hudson Valley Renegades will receive a pass for free rides at Luna Park. 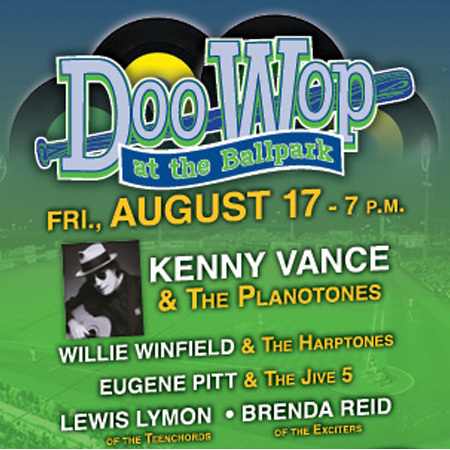 This season, MCU Park will be a great venue not only for baseball, but also live music. 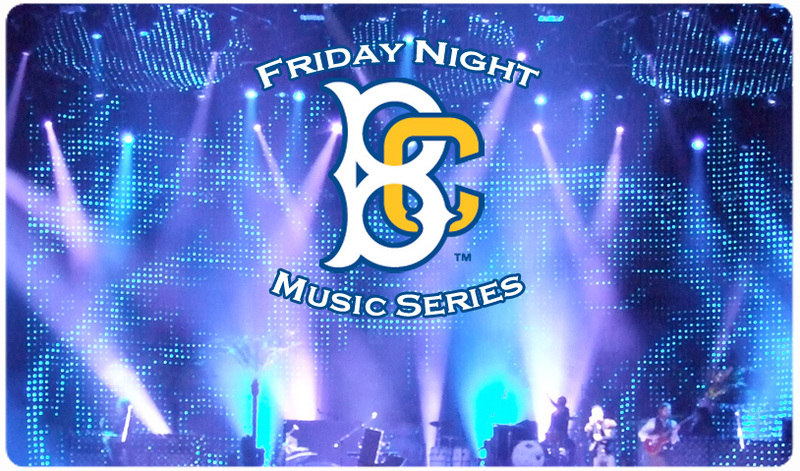 With Williamsburg Night, being held on July 5, and the new Friday Night Music Series, beginning on June 29, fans can rock and jam out to some awesome musical performers before, after, and even during the Cyclones home games. 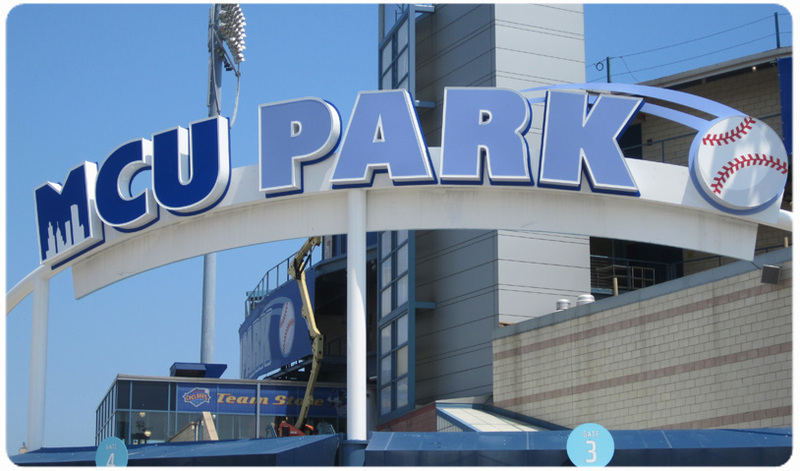 With Opening Day almost upon us, here is a quick look at some of the new things going on at MCU Park this season. 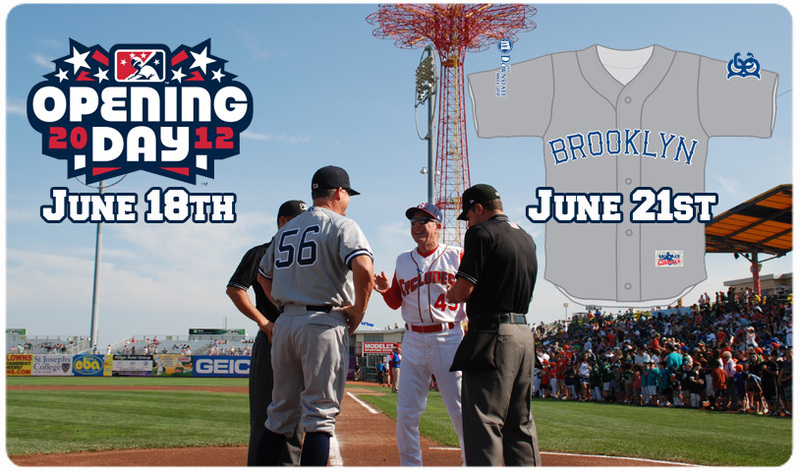 The Brooklyn Cyclones open their 2012 schedule on Monday, June 18th against the Yankees at MCU Park. The squad that will take the field on Opening Day will be one of the youngest in franchise history with an average age of just over 21 years old thanks to a record eight teenagers on the initial roster. 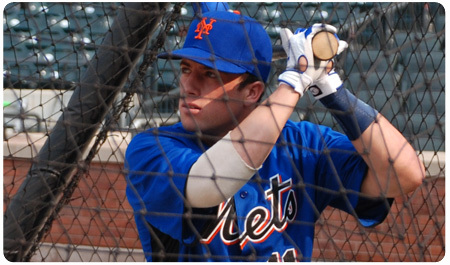 One of those teens is 19-year-old outfielder Brandon Nimmo, who was the Mets First Round Pick in the 2011 draft. 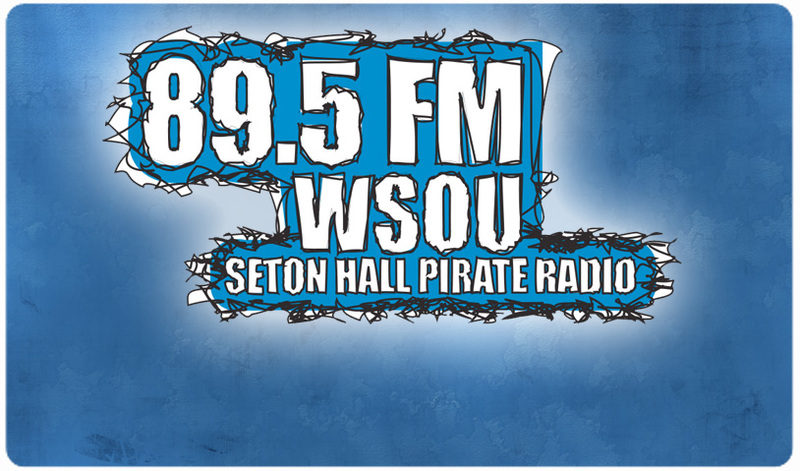 The Brooklyn Cyclones are proud to announce an all-new partnership with 89.5 WSOU – Seton Hall University Radio, as the team’s new flagship station for game broadcasts during the 2012 season. WSOU will air Opening Day and all 38 Cyclones road games over the airwaves on 89.5 FM, while streaming the entire 76-game season (and any playoff games) at BrooklynCyclones.com. 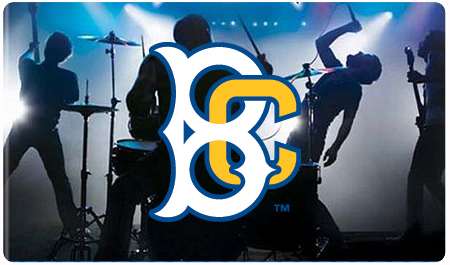 The Brooklyn Cyclones Beach Bums are a group of 10 qualified entertainers and performers who will interact and entertain Cyclones fans throughout the season. Here's your chance to get to know them! 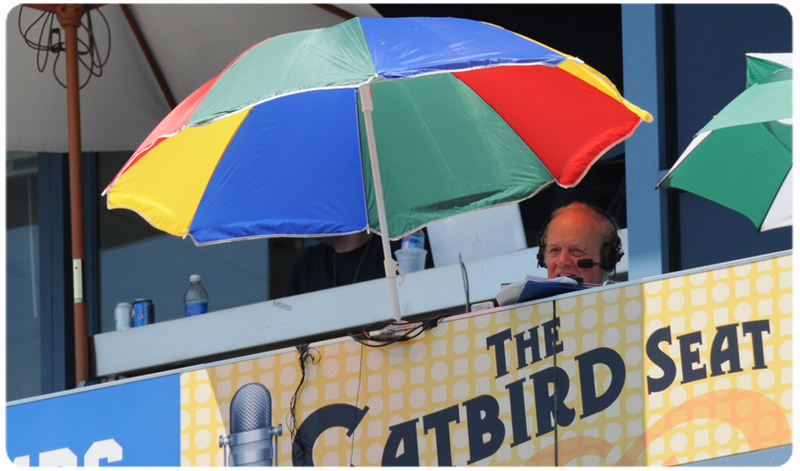 Since the franchise's inception in 2001, there have been hundres of players who have taken the field for the Brooklyn Cyclones, but through it all, there has only been one voice - the legendary Warner Fusselle, who has called the play-by-play action for the Brooklyn faithful. Sadly, Fusselle passed away on Sunday evening at the age of 68. 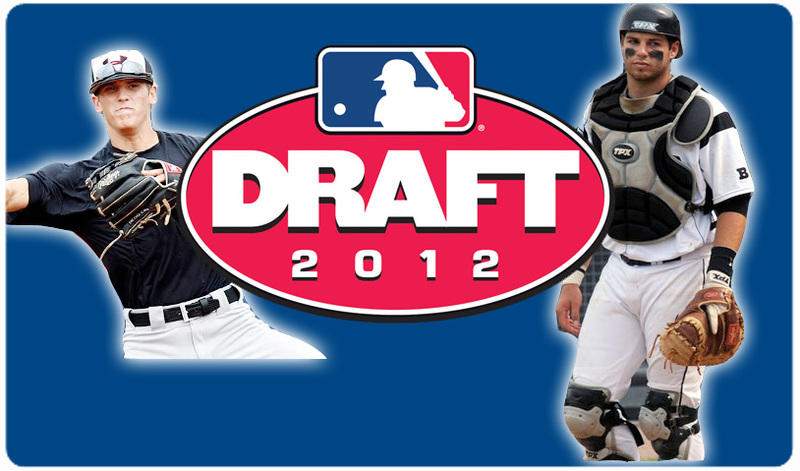 With the 2012 MLB First Year Player Draft wrapping up this week, here's a look at some of the names the Mets selected. 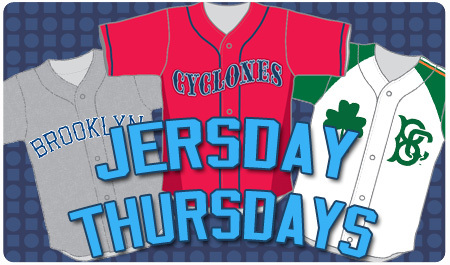 The Cyclones open their 2012 campaign on Monday, June 18th against the Staten Island Yankees at 7:00 p.m. Later that week the Jersday Thursday series kicks off against the same Yankees on June 21st. Get your tickets now! 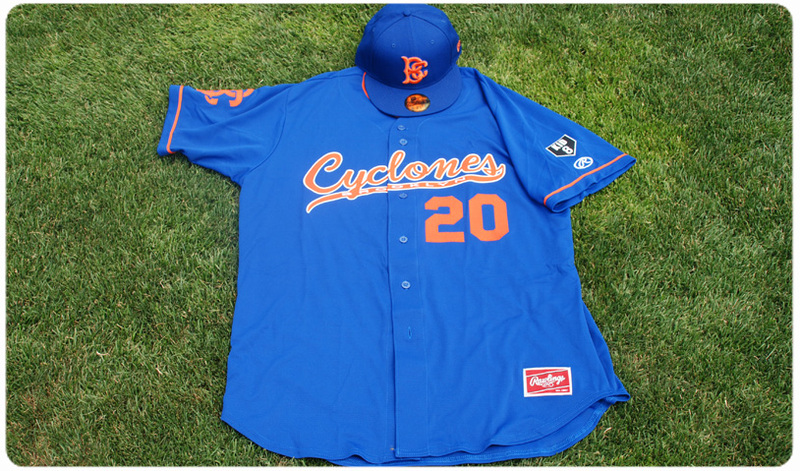 On Friday, June 29th the Cyclones will raise money for the Gary Carter Foundation with a special Jersey off the Back raffle. The team will also remember "The Kid" in a special pre-game ceremony. 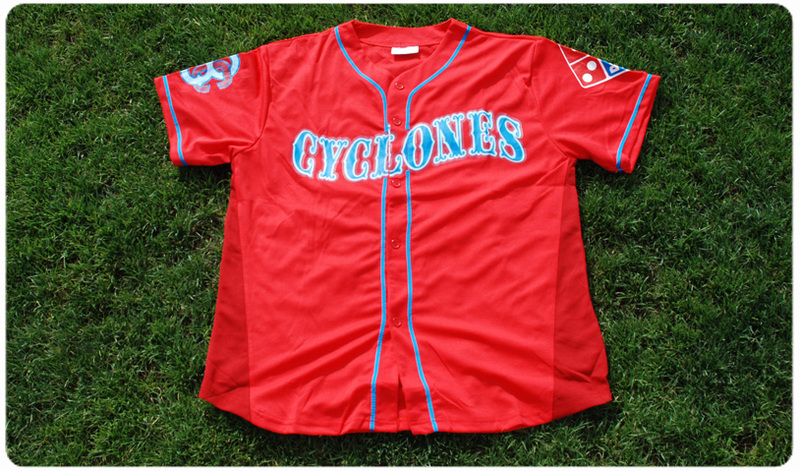 Every year the Cyclones hold several "Jersey off the Back" nights at the ballpark where fans can purchase raffle tickets in order to win specially designed, game-worn uniforms with the proceeds benefiting various charities. This year there will be five such nights with all-new designs. 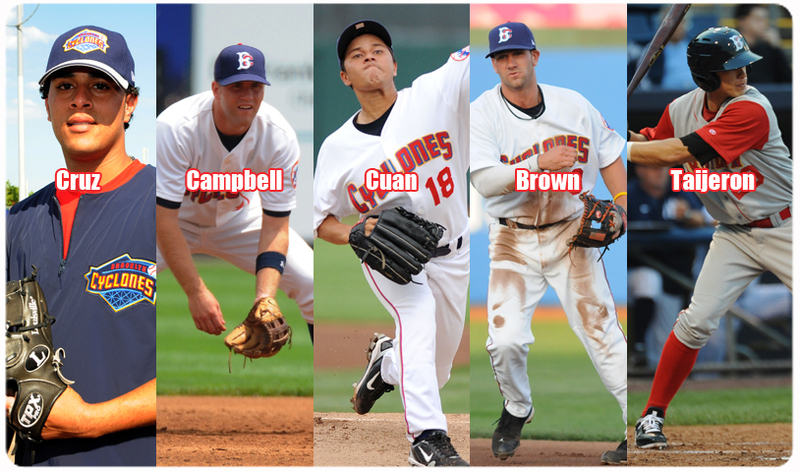 Starting Friday, June 1st and running through Opening Day, June 18th the Cyclones will be counting down the days with 18 days of prizes to get you ready for the 2012 Cyclones Season. 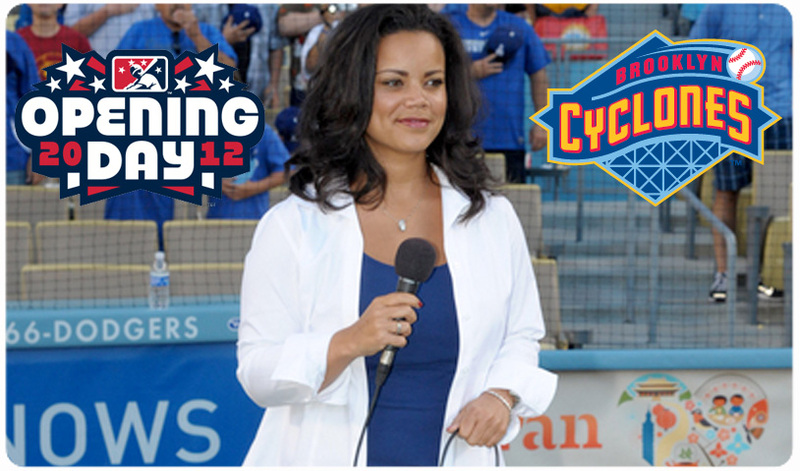 Former American Idol finalist Kimberley Locke will be performing our National Anthem on Opening Day - June 18th vs. Staten Island. But the Cyclones are looking for great singers to perform prior to the other 37 home games. Do you have what it takes? 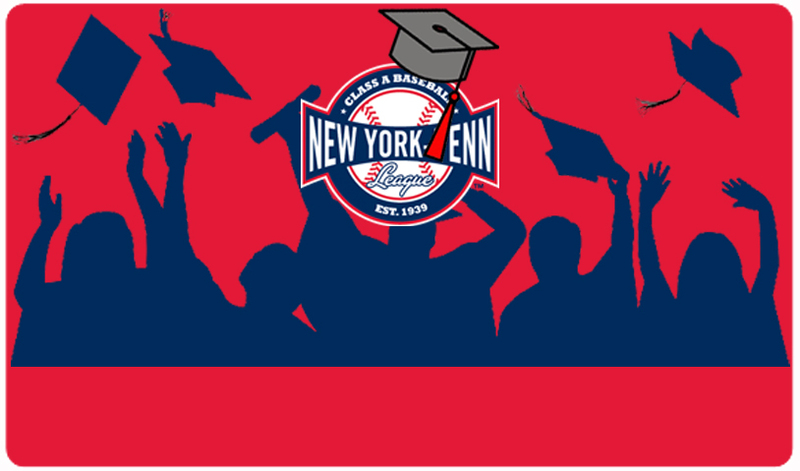 The Class-A Short-Season New York-Penn League and its member clubs today announced that the league’s philanthropic arm, the NYPL Charitable Foundation, will once again award over $10,000 in scholarships this summer to deserving high school graduates from the league’s 14 markets. 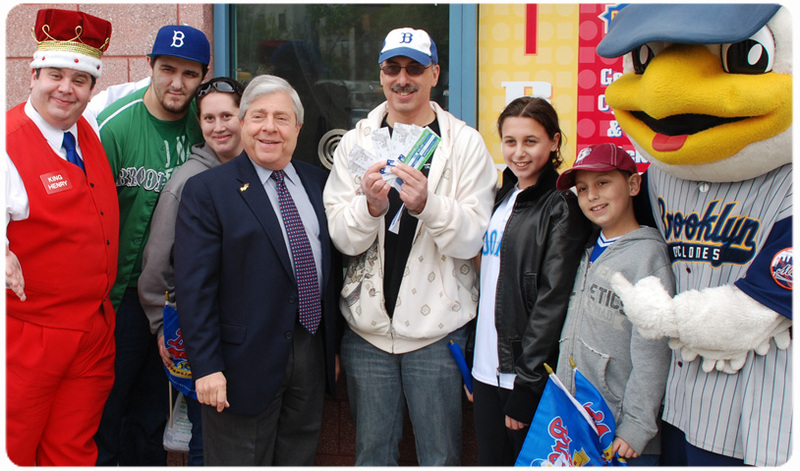 Individual Tickets for the 2012 Brooklyn Cyclones season are on sale now. Don't miss your chance to get tickets for Opening Day, Jersday Thursdays, and the rest of the 38-game schedule. Here is our weekly look at how some of your favorite Cyclones from the past are performing so far during the 2012 campaign. 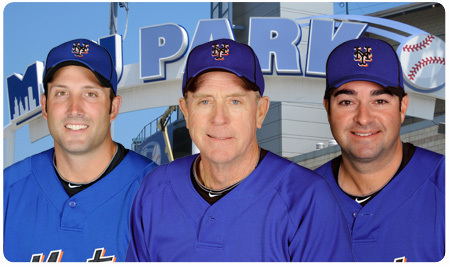 Want to win a trip to 2013 Spring Training in Port St. Lucie? Or maybe a luxury suite at MCU Park? 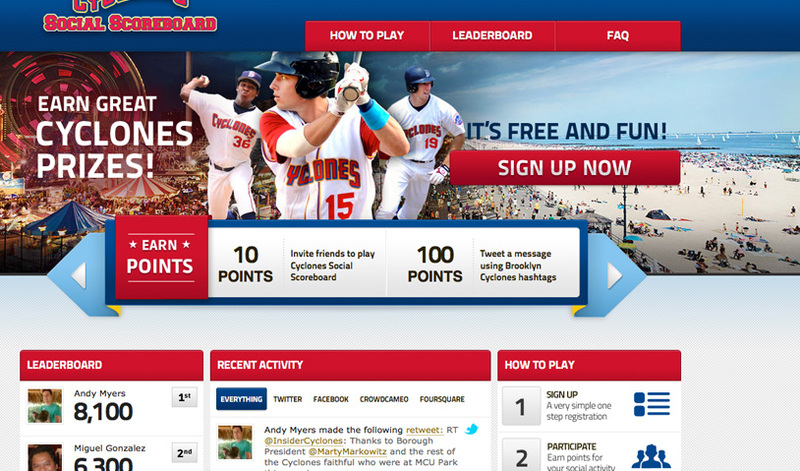 The Cyclones Social Scoreboard is here and ready to help you get a W! 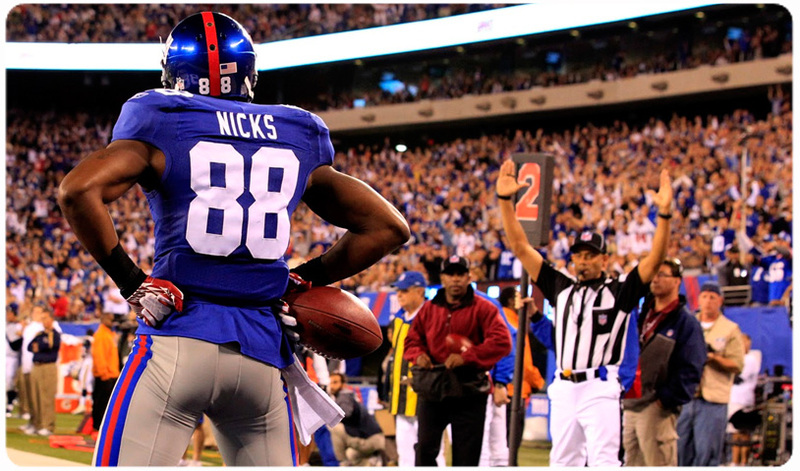 On Monday, June 25th the Cyclones will celebrate a Night of Champions with Wide Receiver Hakeem Nicks and All-Pro Offensive Lineman David Diehl from the Super Bowl Champion New York Giants on hand to sign autographs. A lot of fans can't get their fill of Cyclones baseball, and with the new Friday Night Feast-ival that takes full to a whole new level! The new All-You-Can-Eat package offers an endless BBQ buffet plus the fun and excitement of Cyclones baseball for just $18. 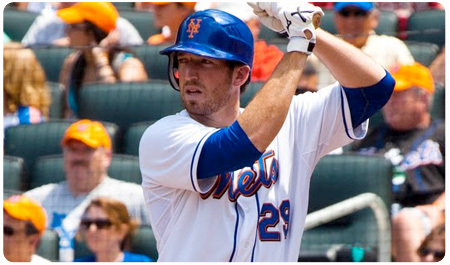 Zach Lutz, who played for the Cyclones in 2007 and 2008, made his major league debut as a pinch hitter with the Mets on Tuesday, April 24th. 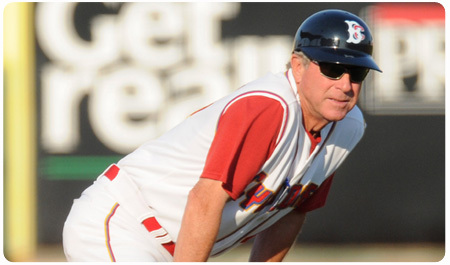 He became the 36th former Cyclone to make it to the big leagues. 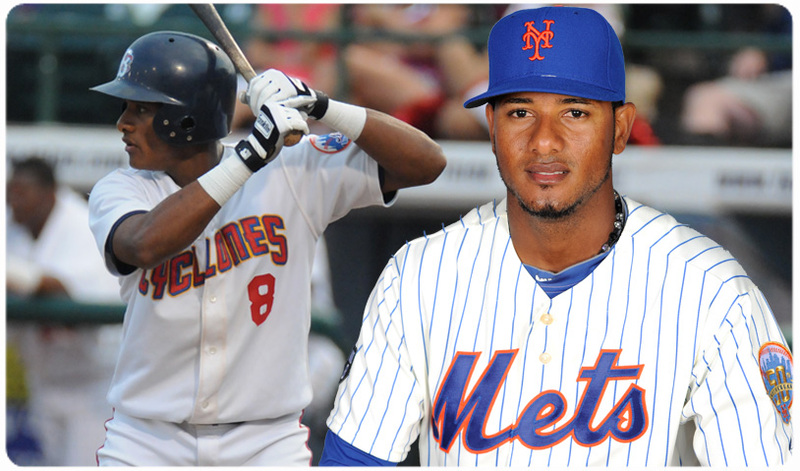 Jordany Valdespin, who played for the Cyclones in 2009, made his major league debut as a pinch hitter with the Mets on Monday, April 23rd. He became the 35th former Cyclone to make it to the big leagues. With most full-season teams at least 10 games into their seasons, here’s a look at how some former Cyclones are doing during the early goings of the 2012 campaign. WHERE ARE YOUR FAVORITE CYCLONES??? 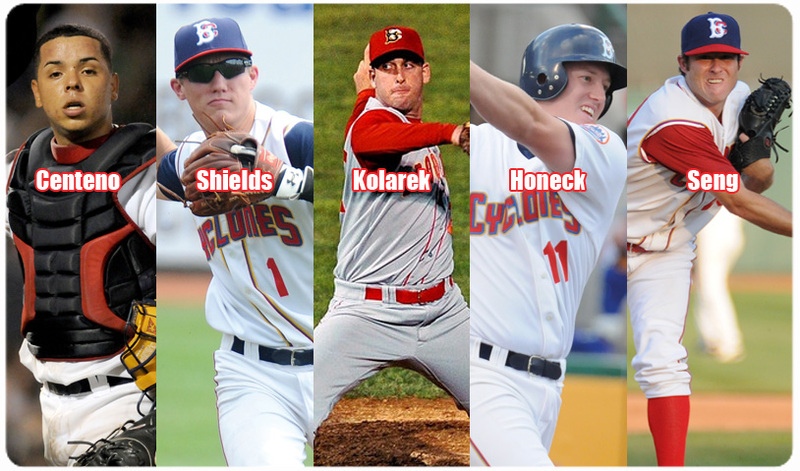 With Opening Day for full-season teams upon us, here's a look at where your favorite Cyclones from the past are starting their 2012 seasons. 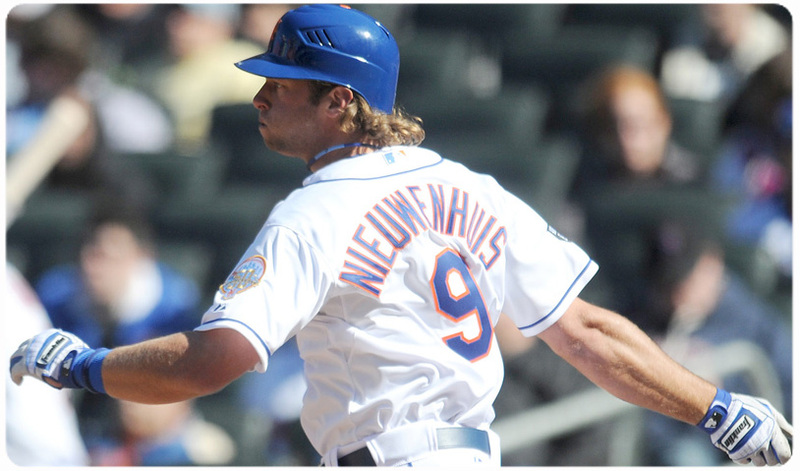 On April 7th, Kirk Nieuwenhuis made his major league debut with the New York Mets, becoming the 33rd former Cyclones to make it to the big leagues. Camp Day offers the perfect opportunity for kids to enjoy a day at the ballpark while raking in the sun! This year, the special start time will be 11:00 AM to allow local camps to make it back in time for dismissal. 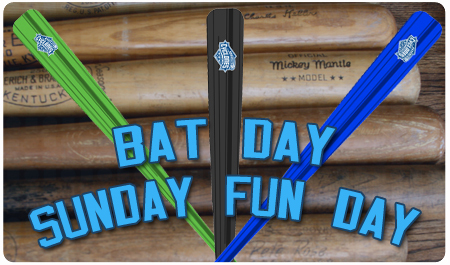 New for the 2012 season is the addition of Bat Day to our already fun-filled Sundays at MCU Park. 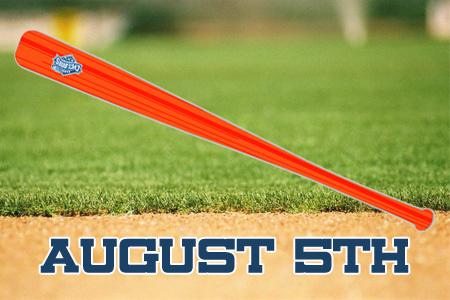 The first 3,000 fans in attendance will receive a 30-inch wood bat in various colors as part of this new promotional giveaway that is sure to quickly become a fan favorite. In addition to the unique wood bats, every Sunday has some extra fun built in as well. Following every Sunday contest, the Cyclones will invite their youngest fans down to the field to run the bases. But that’s not all. Before the Sunday games on July 8th, August 5th and September 2nd, fans will have the unique opportunity to have a catch on the field. Fans are required to bring their own gloves and ball, and will be allowed on the field in five-minute intervals from 4:00 to 4:30. But the fun doesn’t stop there. 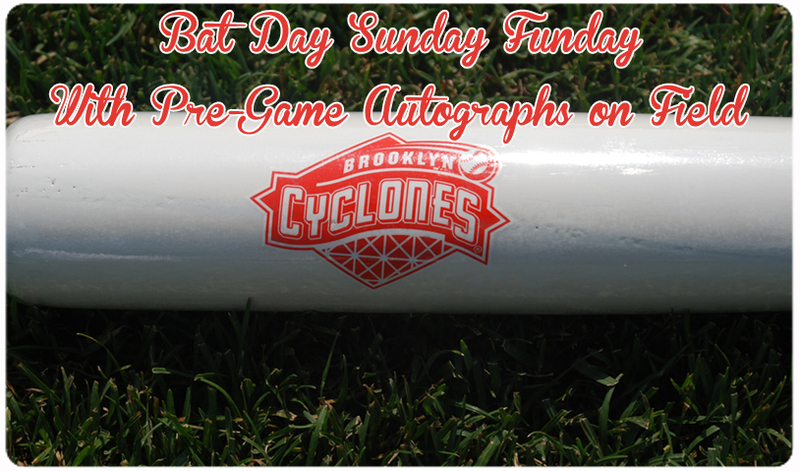 On Sunday, July 22nd and Sunday, August 12th the Cyclones will take to the field early for a special autograph/photograph opportunity. The wood bats that we will giveaway as part of Bat Day Sunday Funday will offer a rather unique item to get signed by your favorite stars of tomorrow. 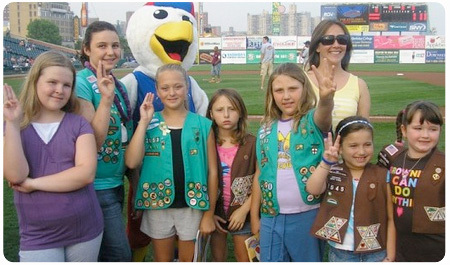 On Saturday, June 30th the Cyclones will hold a special 100th Anniversary Celebration for the Girl Scouts. 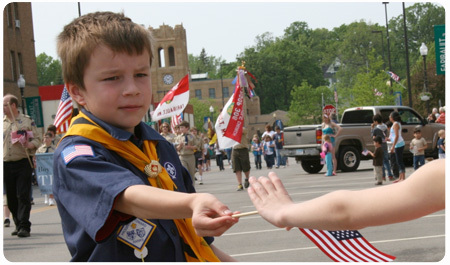 To find out how your troop can get involved CLICK HERE. 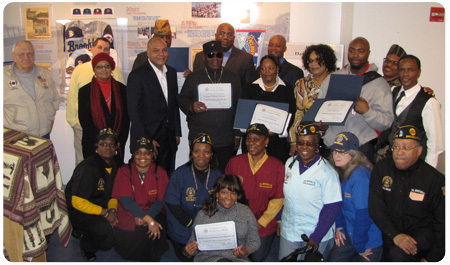 On Saturday, February 25th the Brooklyn Cyclones honored the Womens Veterans Network as part of the 5th Annual Black History Month Celebration at MCU Park. The program included opening remarks from Ken Currey, the Vice President of Business Development for MCU before a celebration of African American Culture through song and poetry. The evening concluded with a presentation from Keynote Speaker, Rev. Karim Camara, New York State Assemblyman - District 43. Dr. Charles E. Hall - a Navy Chaplain for 22 years. Darrien Phillips - a 16-year-old who goes above and beyond in his efforts to be involved in the community. Darrell Williams - founder of Silver Lining Outreach. Jevante Oirashawn - President and CEO of Elique Group as well as critcal cog in the Give Back Toy Drive for Children. Keith Suber - Founder of the Suber Foundation, which trains young people in the construction feild, while also serving as a mentor for at-risk youth. Wallace "Rock" Watson - musician who also served our country in the armed forces. Special thanks to State Senator Diane Savino, Assemblyman Alec Brook-Krasny, Brooklyn Borough President Marty Markowitz and District Leader Dilia Schack for helping make the celebration possible. It was good. Last season was longer than normal for me. I played 60 games in college then had almost 80 more with the Cyclones, so that’s pretty close to a big league schedule. So early on, I took some time to relax and recover from the long season. But after that, I got right back after it. As tough as the long season was, it also showed me what it takes to be successful when you are playing baseball every day. I’ve been working really hard with my trainer Carl Thiessen, so I’m coming into this season in top shape. 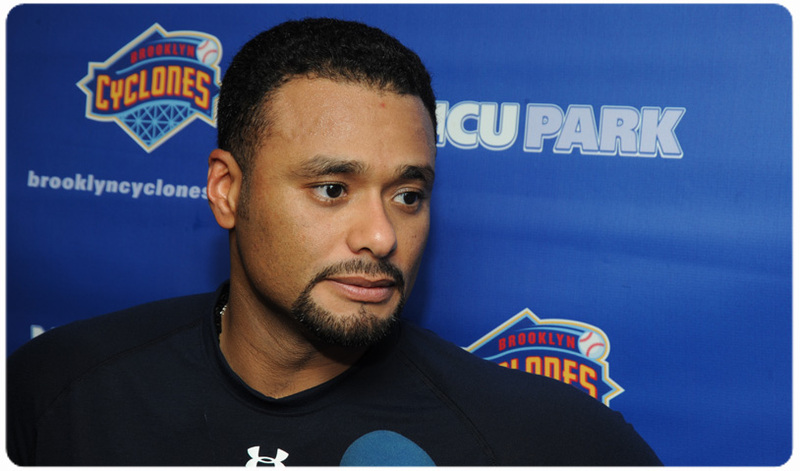 What was it like when you found out that you had been drafted by the Mets? When I was drafted it was really exciting. It just so happened that I was working out with some of my teammates from Cal Poly when I got the call. I had somewhat of a feel that the Mets were interested in me since they had invited me to a few pre-draft workouts. During the draft I really had no idea what round I was going to be drafted in just because it was my senior season. After your first month of the season you were hitting .250 and had two home runs. The rest of the way, you were one of the most productive players in the league and ended up being among the leaders in home runs and slugging percentage. Was their something that you did, or that Bobby or Rich saw that helped lead to the turnaround? They both just kind of helped me relax and deal with the wear and tear of every day baseball. They helped me deal with the slumps and kept me grounded when I was hot. They helped me cut down my swing a little bit, but mostly they helped me with the mental side of the game. Of all the big hits you had this season is there one that stands out? The grand slam in State College? The walkoff home run in Brooklyn? The ones you mentioned obviously stand out, but the first one I hit against Hudson Valley really jumps out at me. Obviously because it was my first, but also because I hadn’t gotten a hit in like a week before that game, and all of a sudden things starting clicking for me that day. Then the rest of the season I was in a pretty good groove. What are you most looking forward to in 2012? What do you want to improve? I understand that I need to cut down on my strikeouts and I have been working on that most this of season. 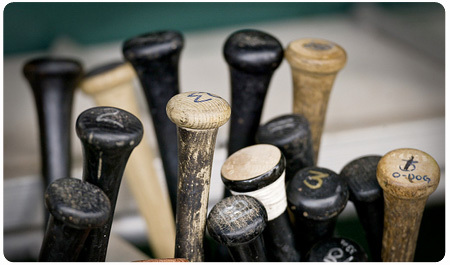 I personally I think that I am a power hitter and I like it when there are people on base. I try my hardest when someone is on base to score them no matter what it takes. I enjoy the pressure especially with runners in scoring position. This off season I have been working most on my strike zone judgment, I believe I was swinging at a lot of bad pitches that I should not have been swinging at and getting myself out. This next year I want to make the pitcher really earn it to get me out. What did you think of your overall experience in Brooklyn? Playing in Brooklyn was such a great time! I have never experienced anything like that. I have never played baseball in front of so many fans before. It really made it so much fun to play. The city life was really different, but baseball is still the same sport no matter where you go in the United States. Which one of your teammates did you most enjoy watching last season? There were so many great guys on the team, but I guess Danny Muno was the one guy who I always made sure to stop and watch his at-bats. He had such a good approach at the plate, and he could hit the ball anywhere. He had such a great swing. Oh, and Jack Leathersich. That kid just threw absolute smoke.